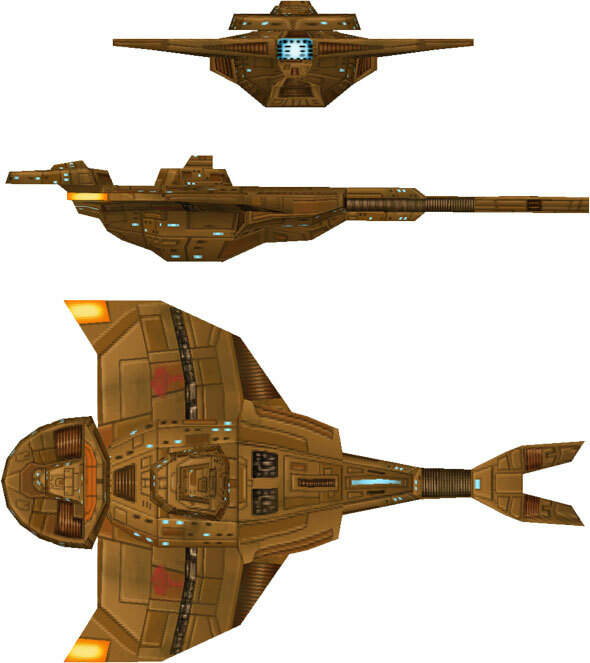 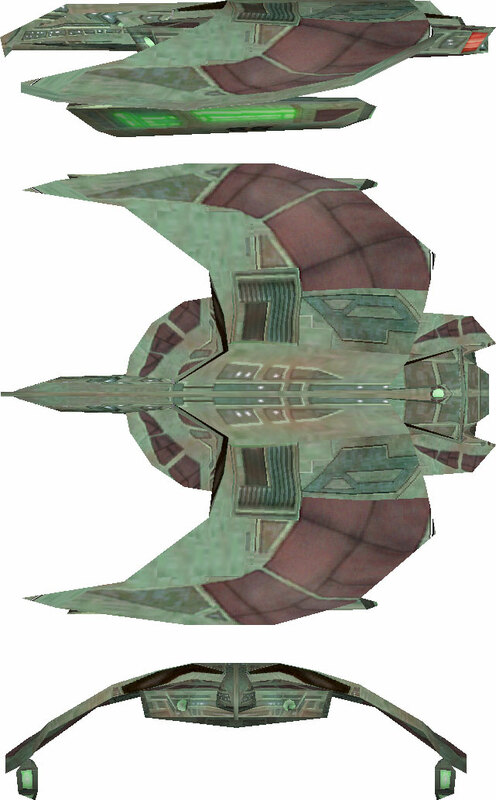 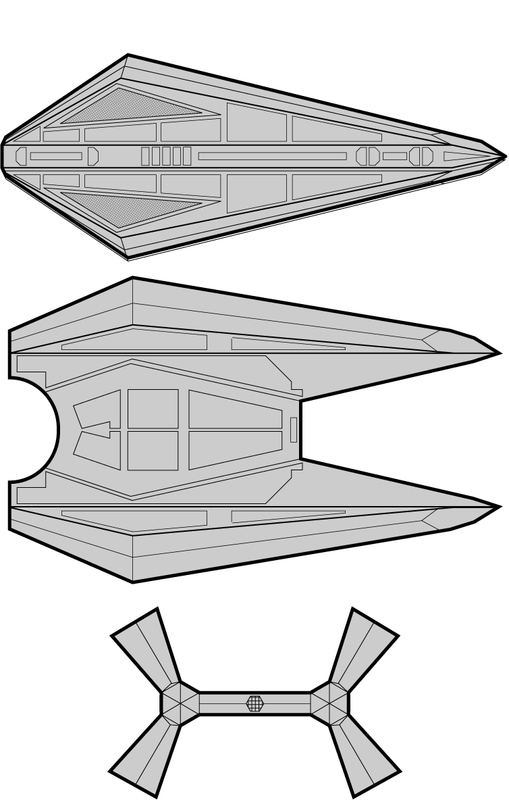 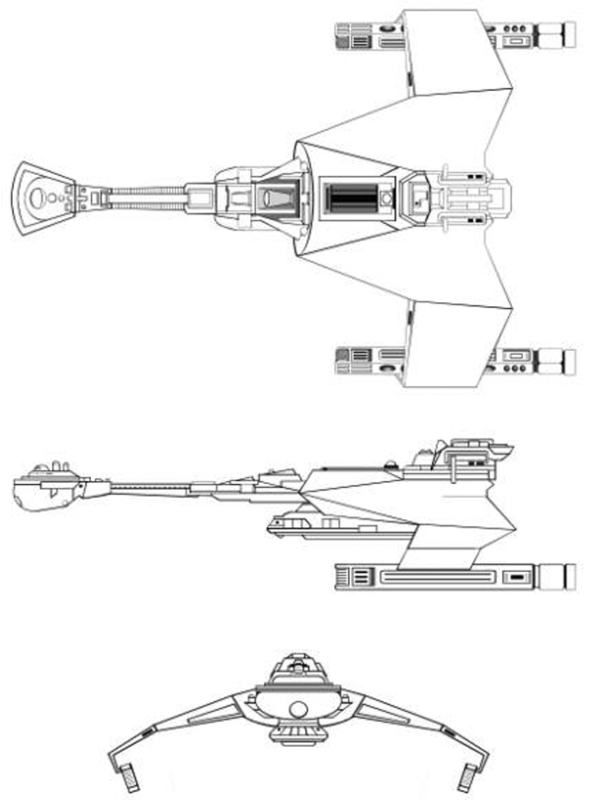 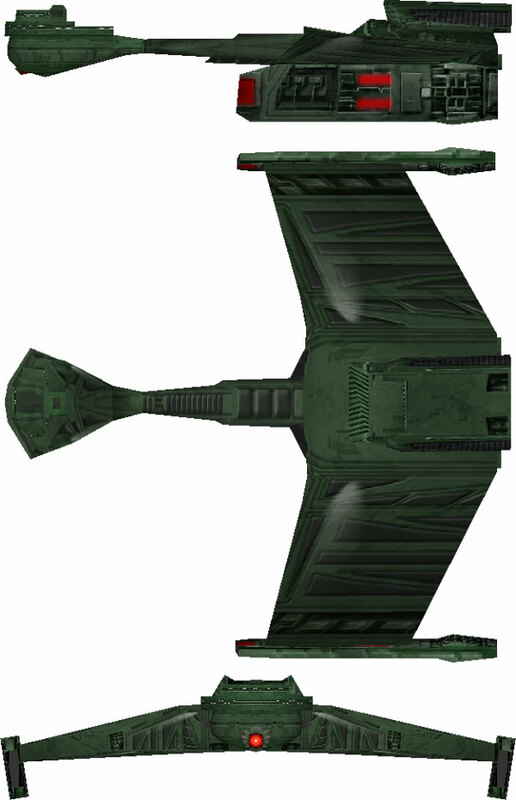 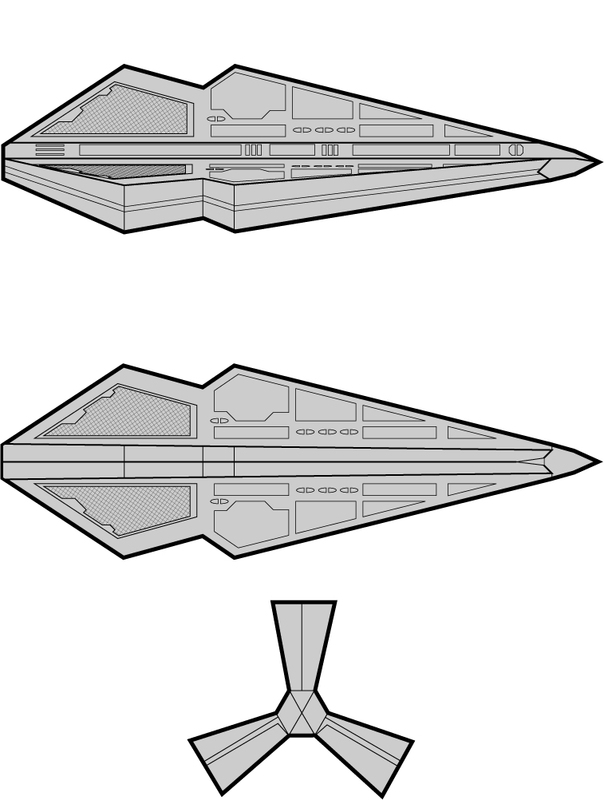 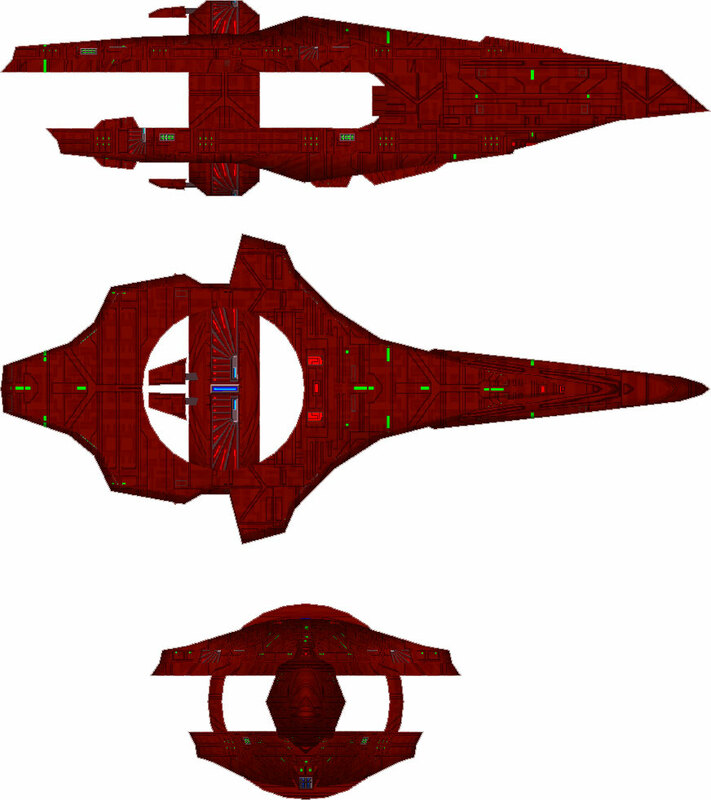 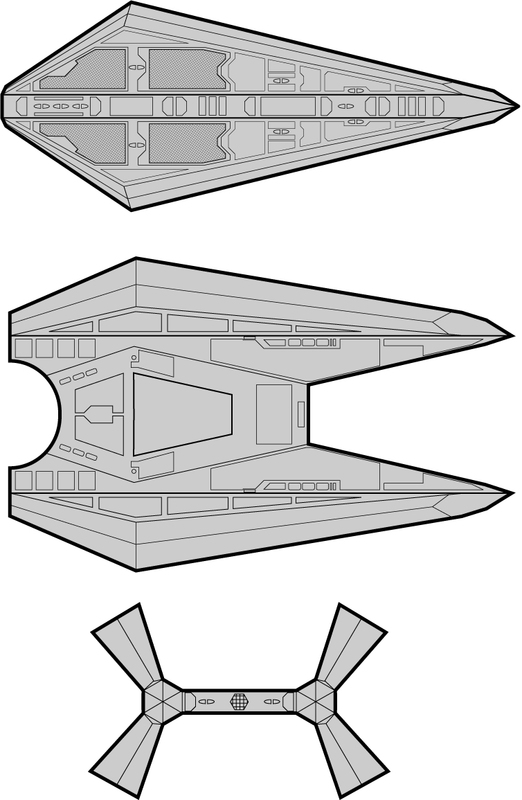 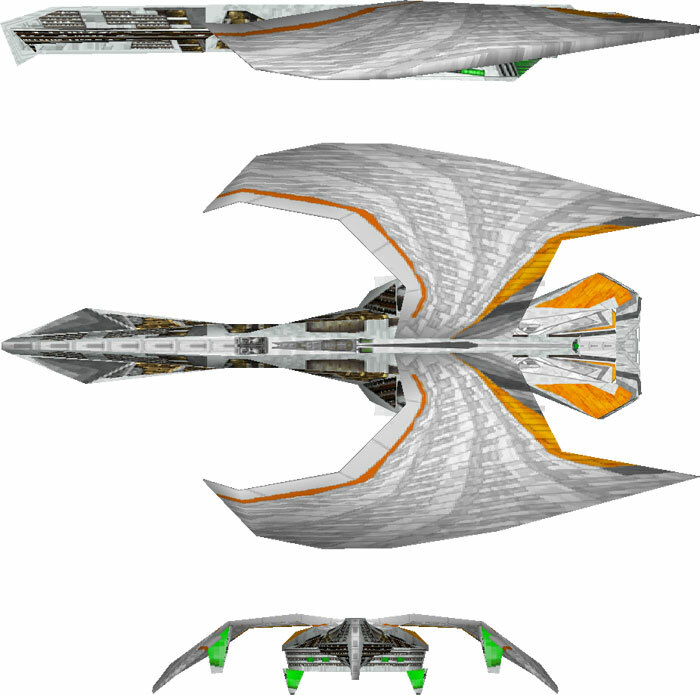 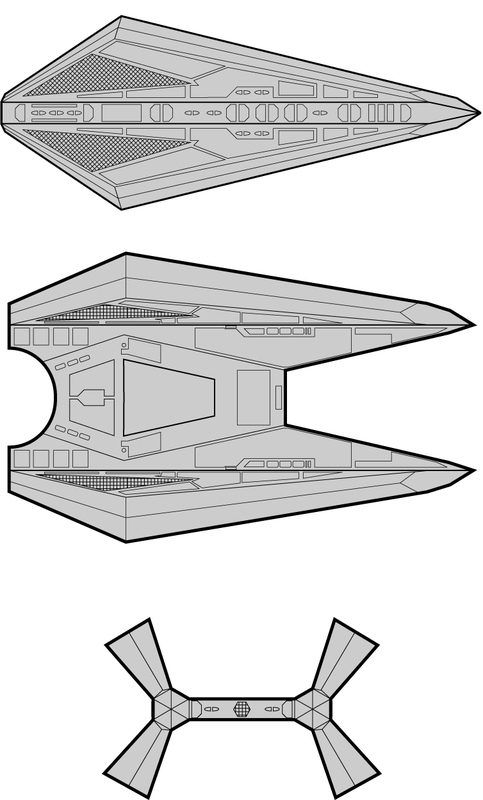 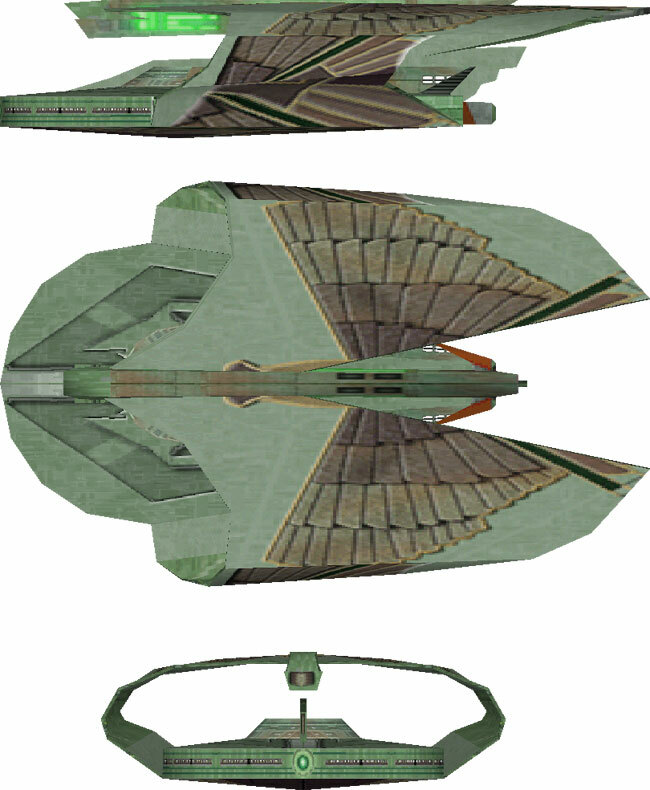 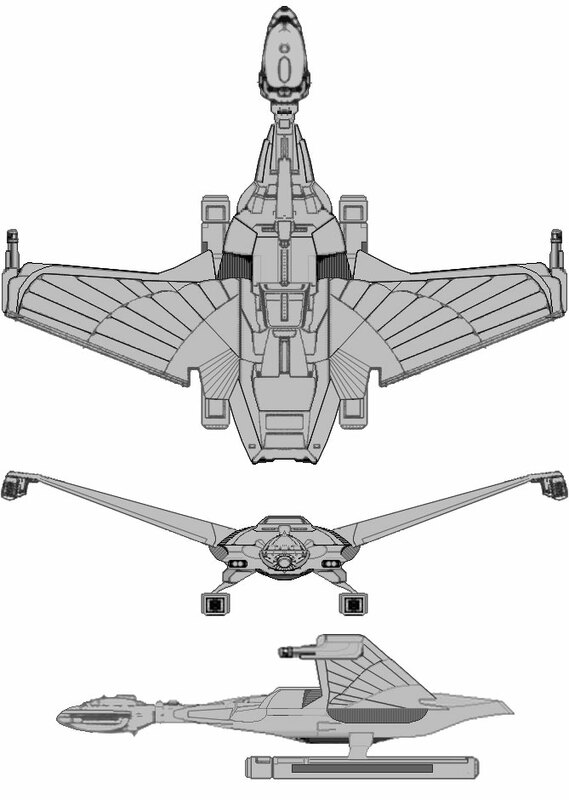 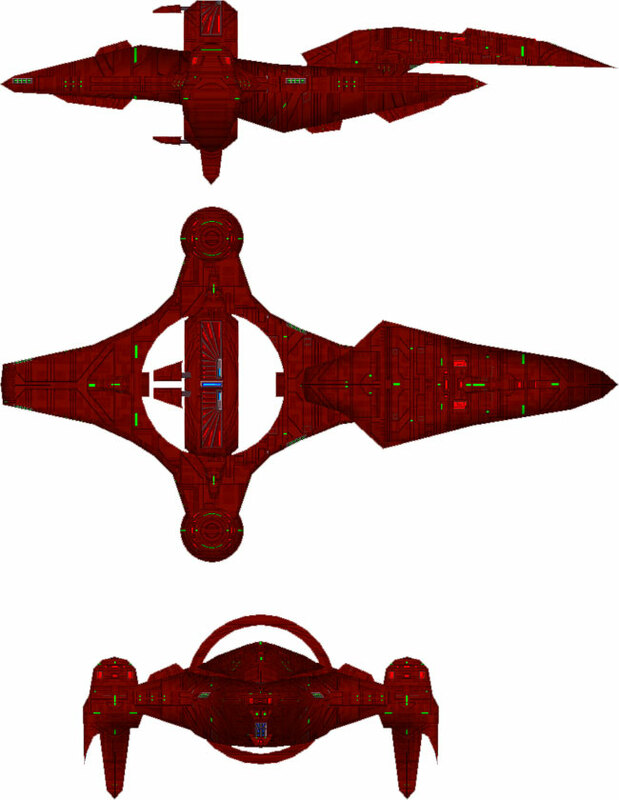 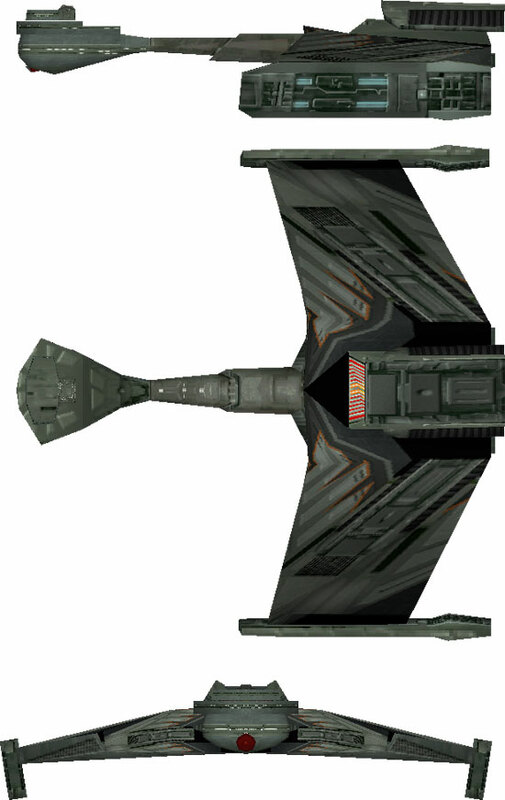 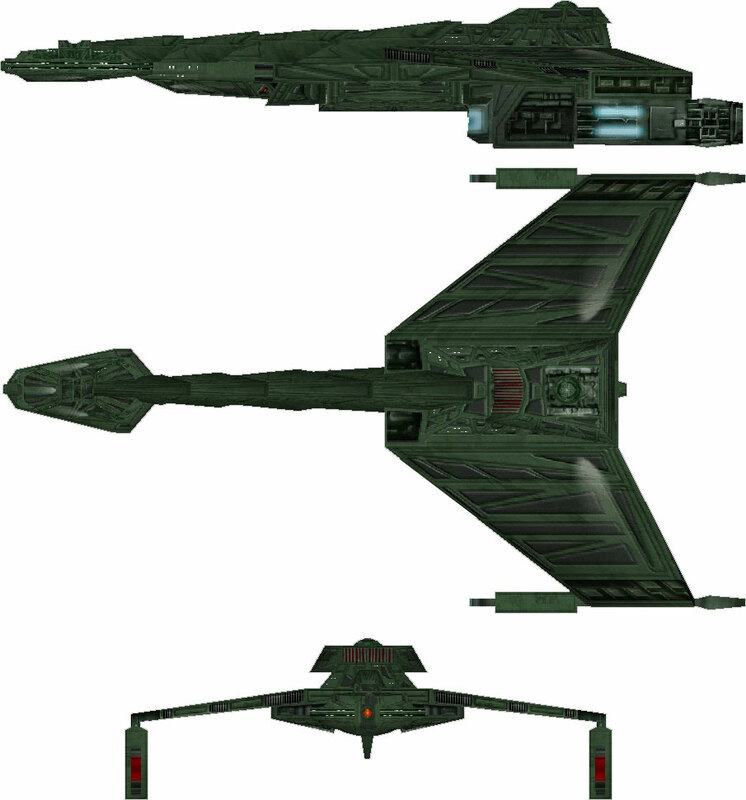 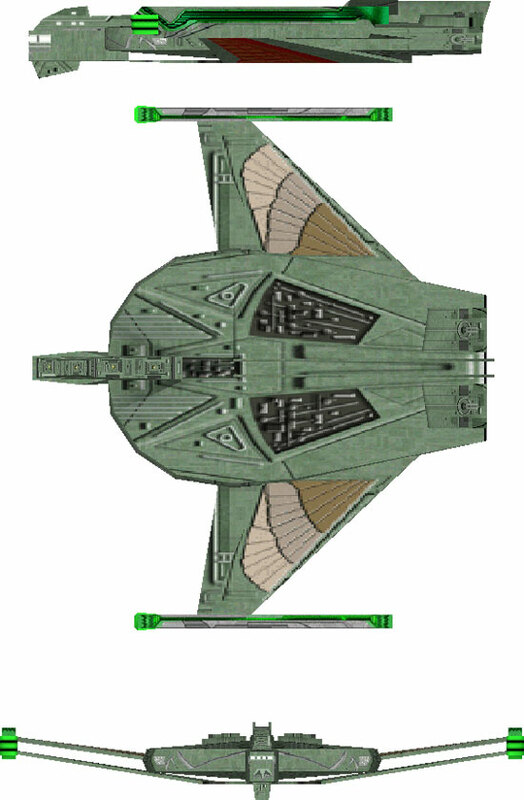 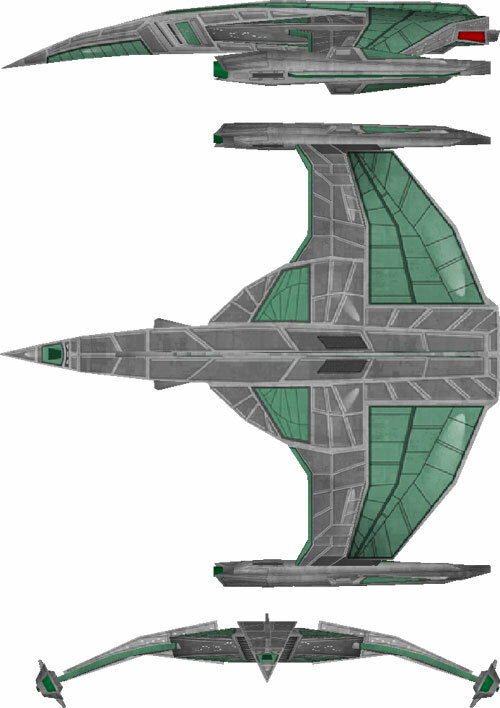 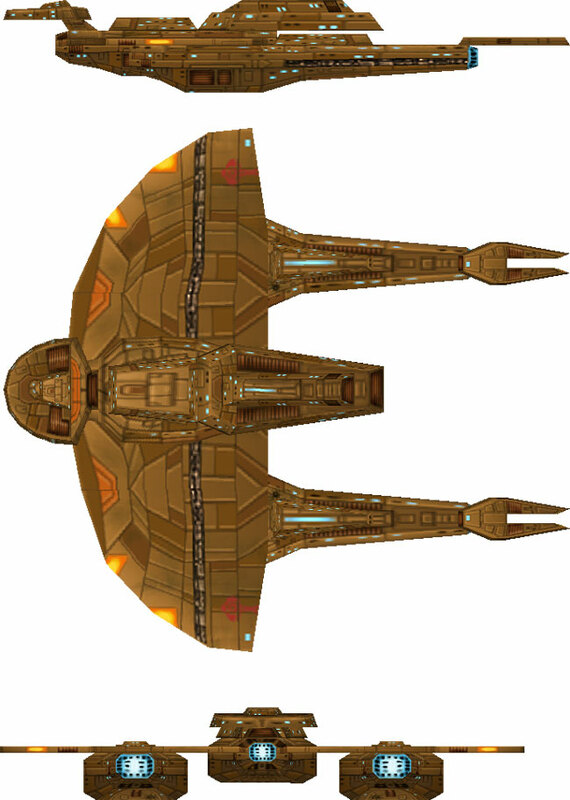 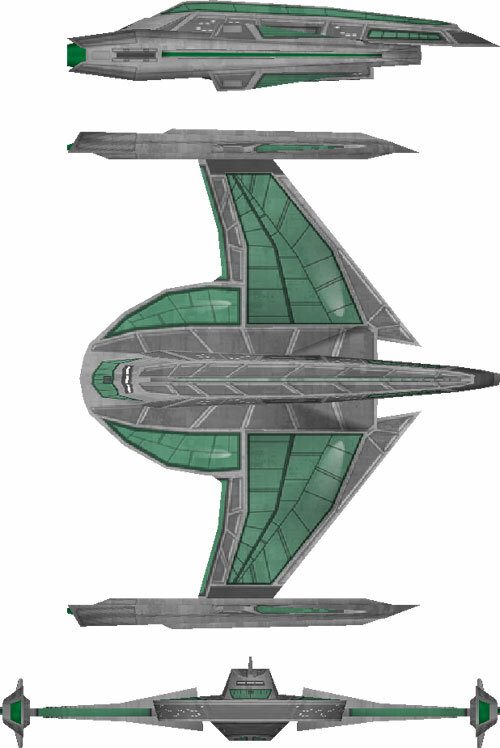 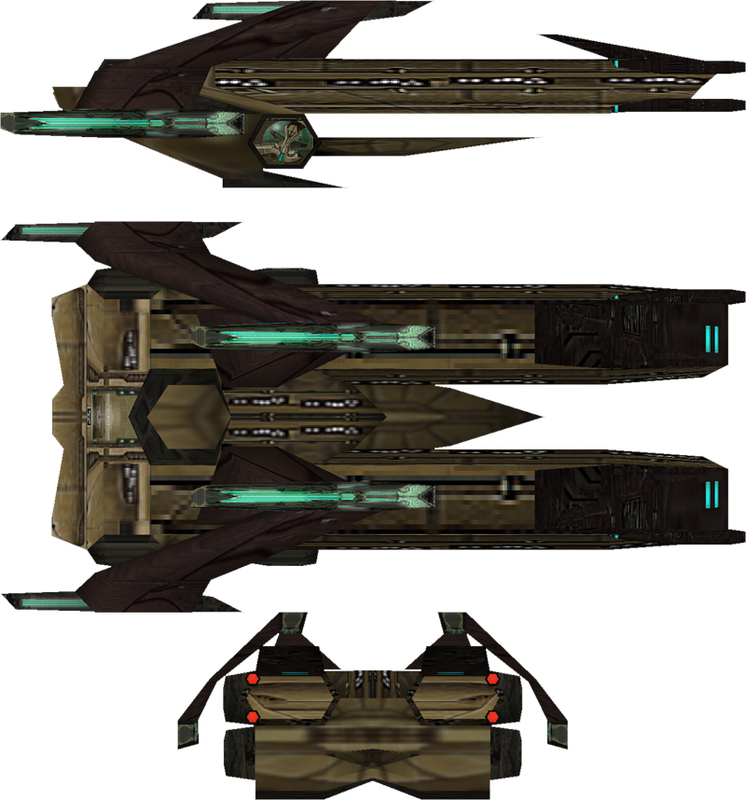 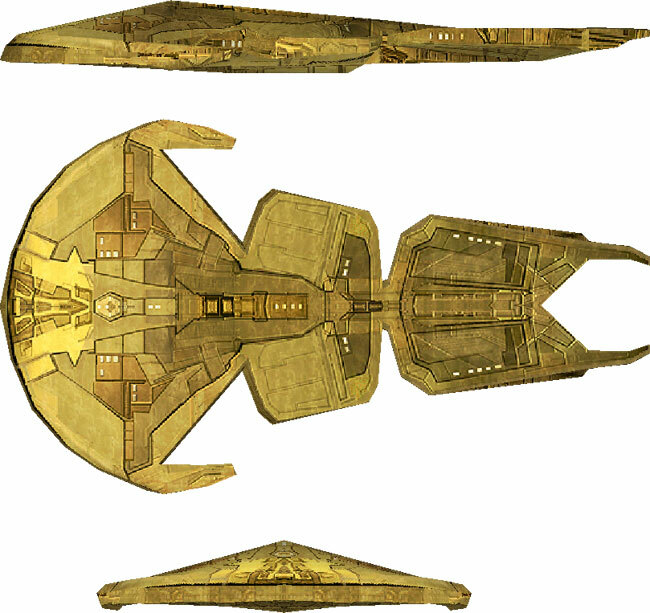 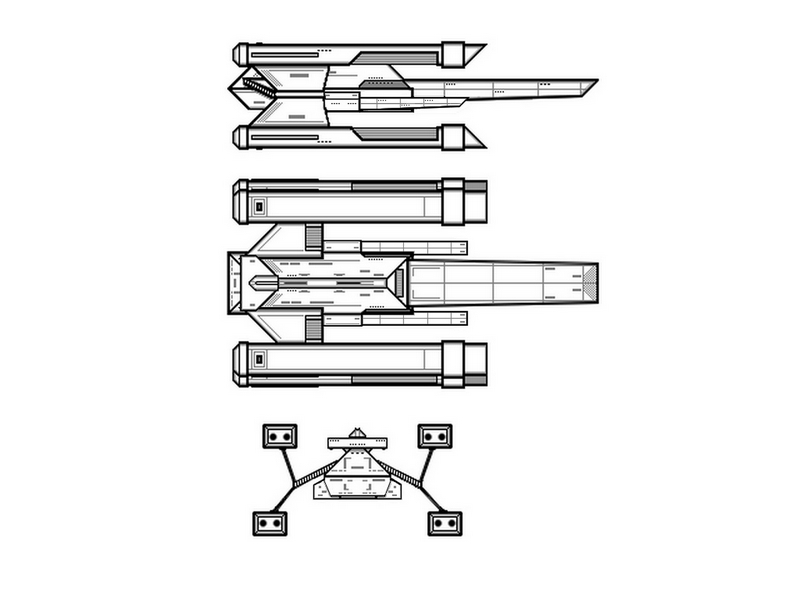 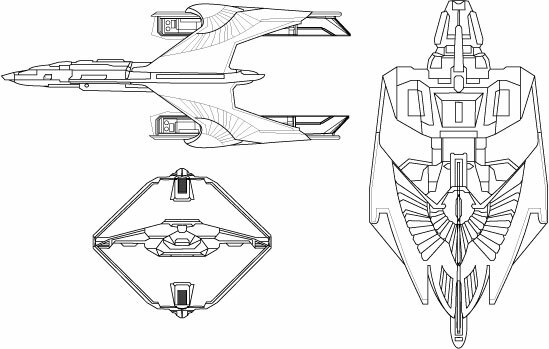 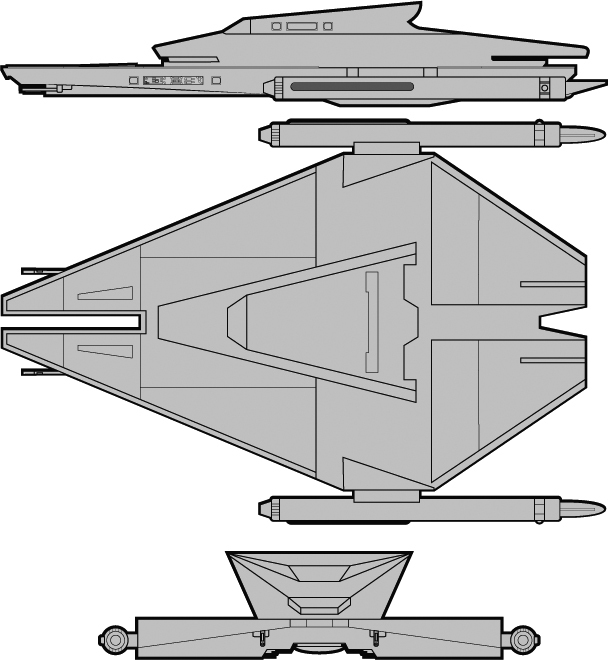 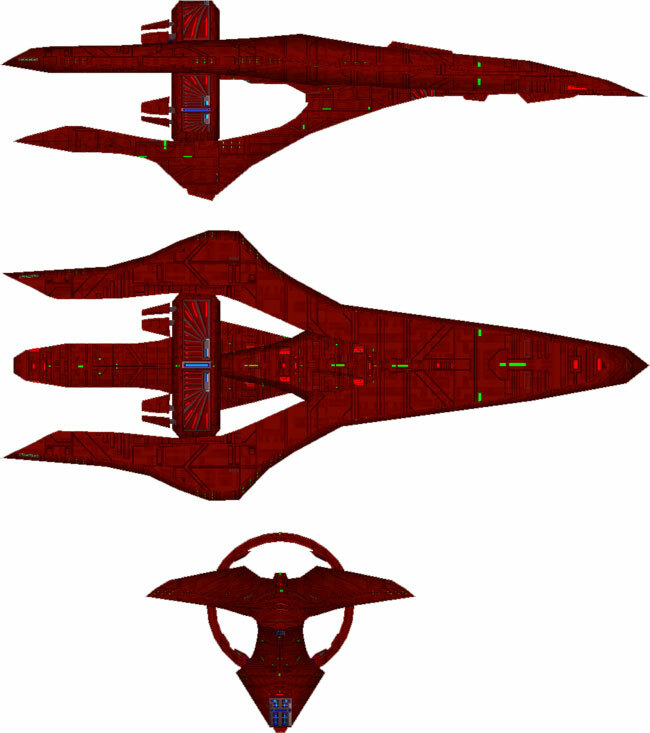 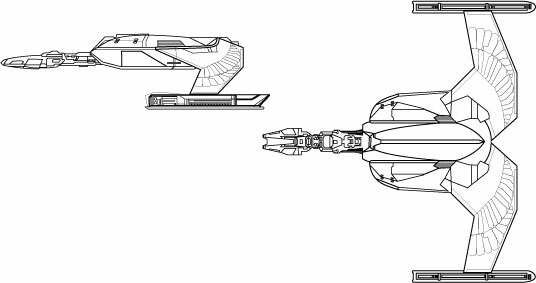 The Kinshaya are the dominant species of the Holy Order of the Kinshaya, a political body located in the Beta Quadrant. 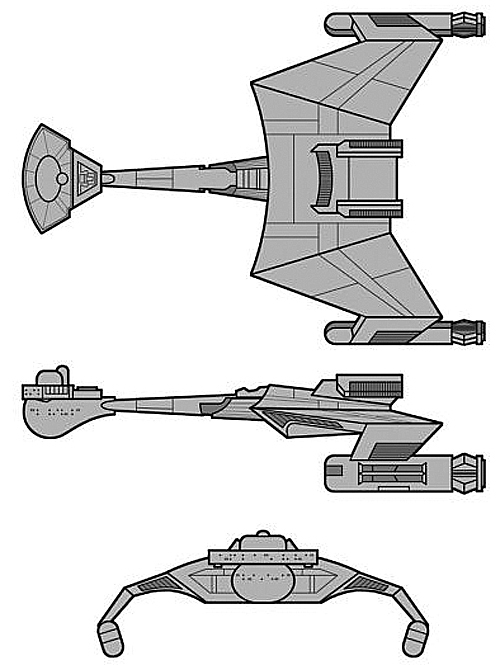 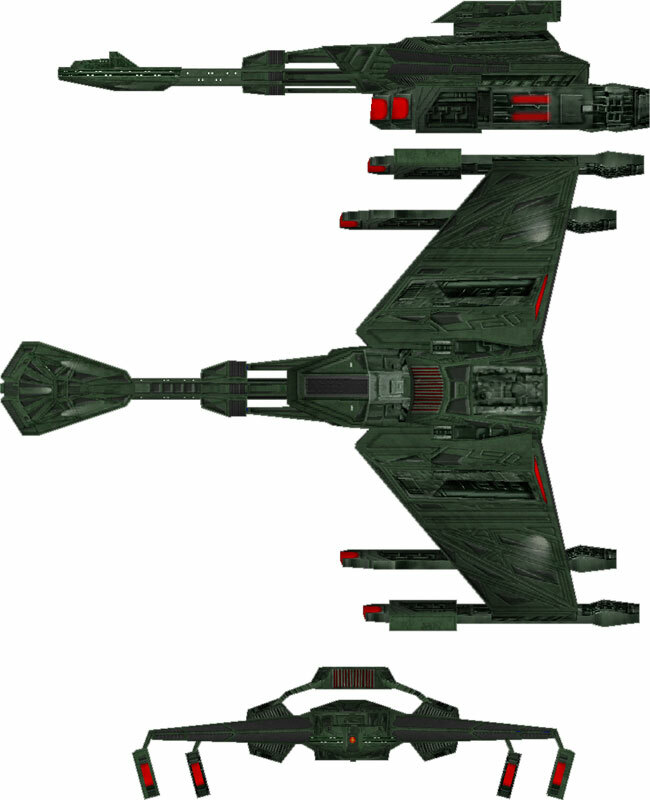 While they have had little contact with the Federation, they are known to border the Klingon Empire and have had numerous conflicts with the Klingons dating back at least to the early 23rd century. 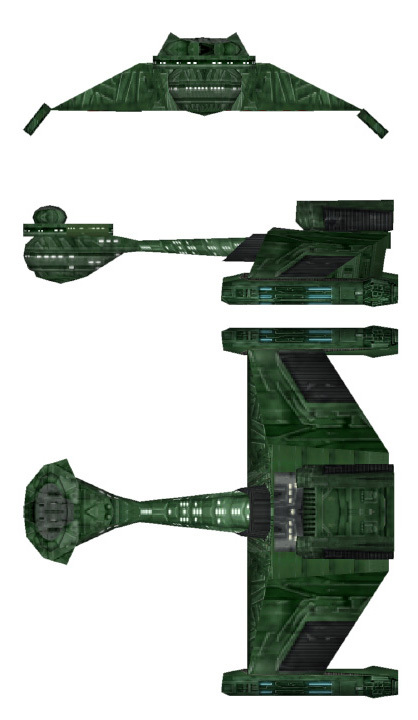 (TOS novel: The Final Reflection) The Holy Order of the Kinshaya appears to be a military theocracy. 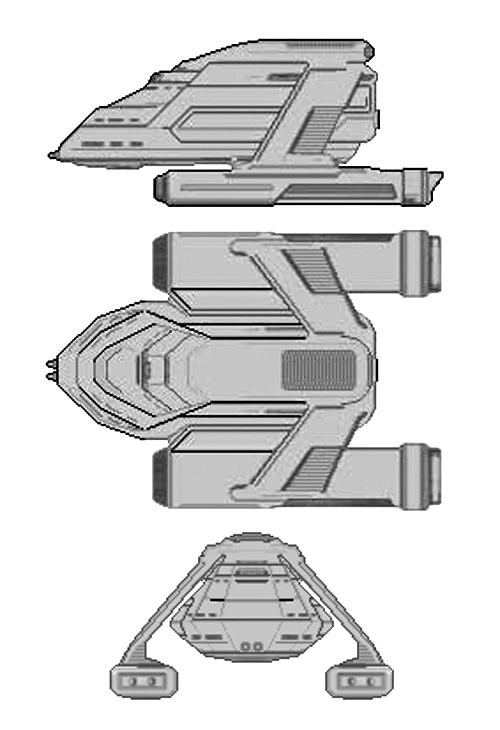 (ST novel: A Singular Destiny). 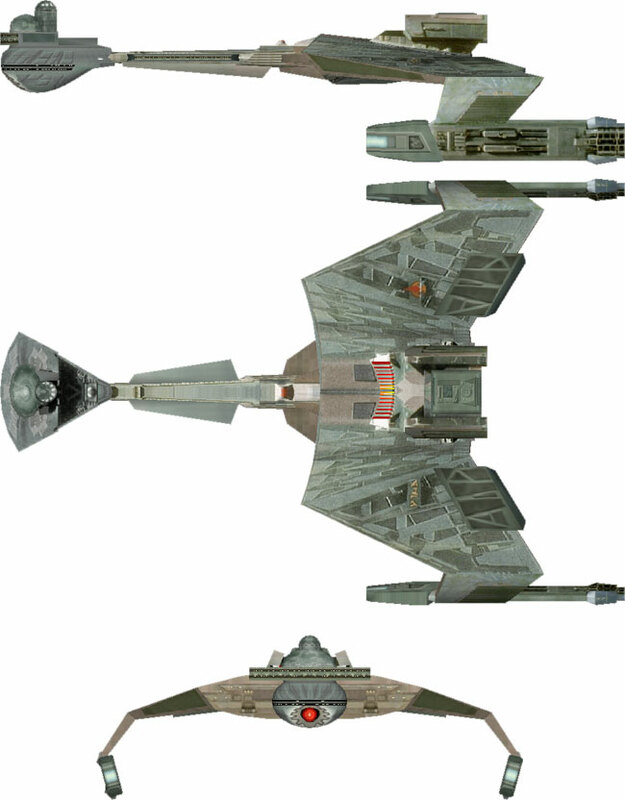 Kinshaya are mammalian life-forms with six limbs; four legs upon which they walk and wings growing out of the back. 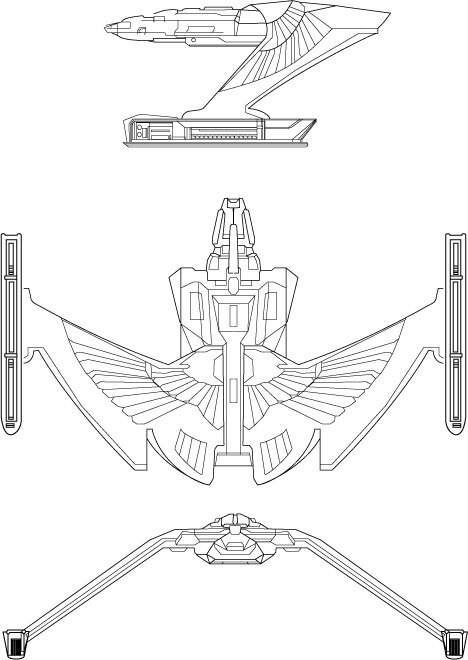 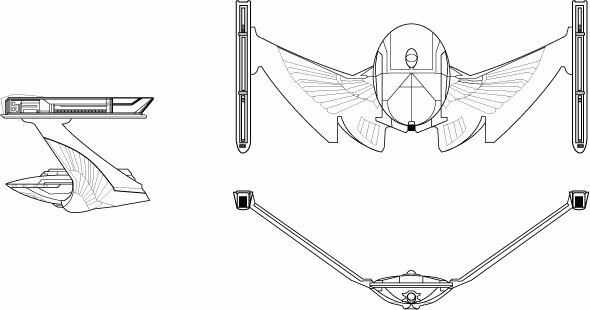 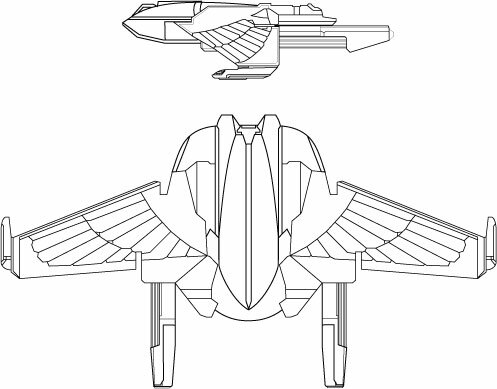 In an ancestral race, these wings were used for flight, but the Kinshaya are too heavy and they are now retained for display purposes only. 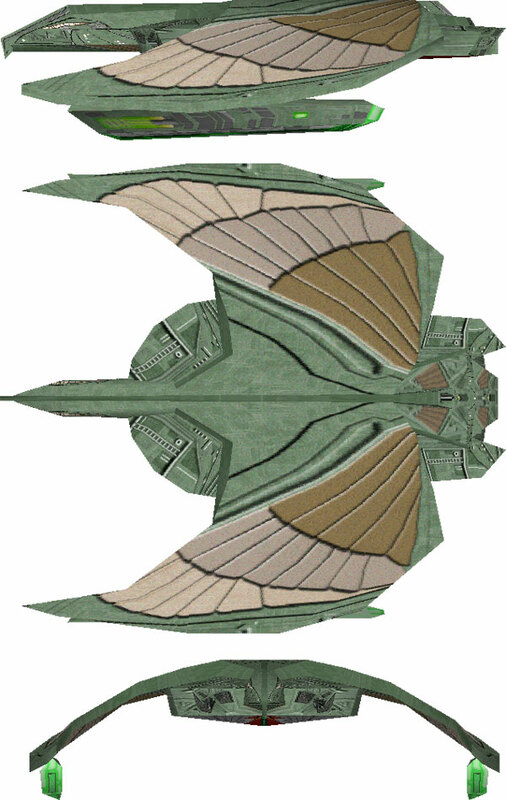 The colours on the wings signify family lineage, and when the wings are flared they become highly visible. 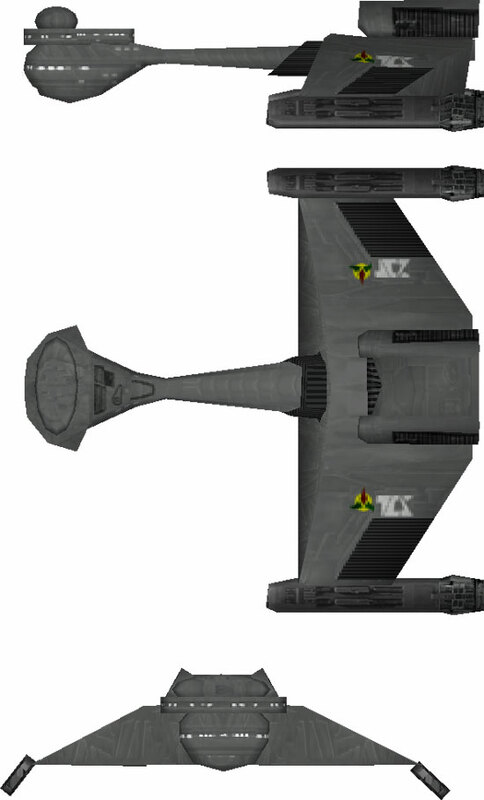 Kinshaya flare their wings as a show of respect; military officers use it to salute their superiors. 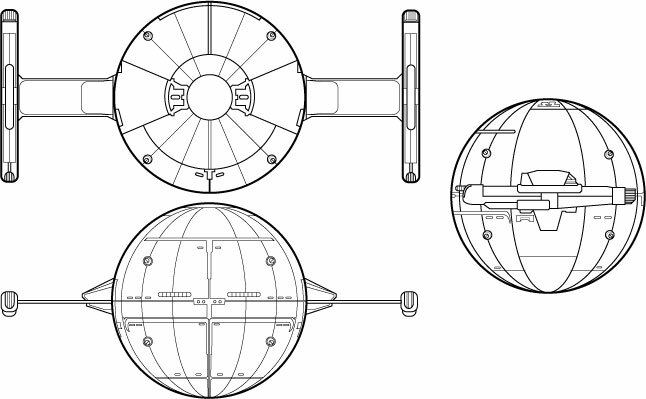 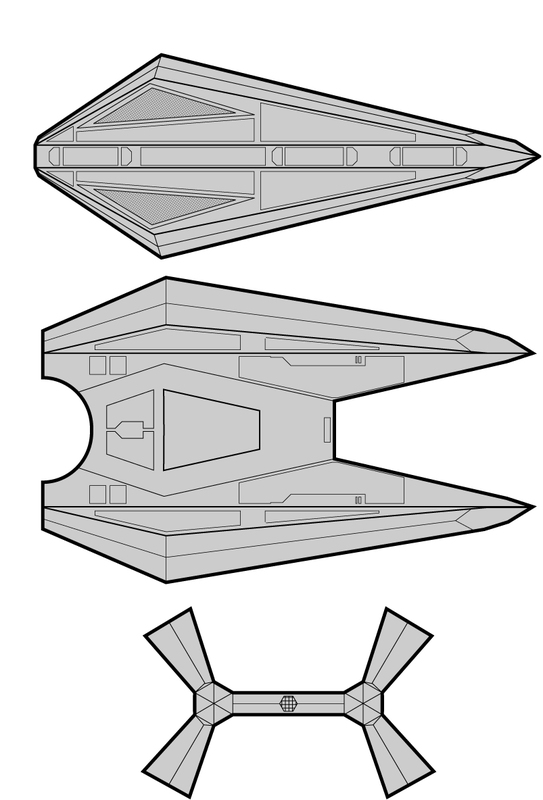 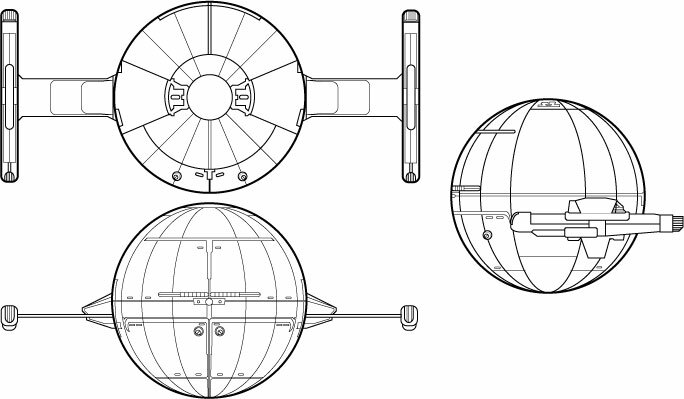 Kinshaya spacecraft are spherical, as are their command centres. 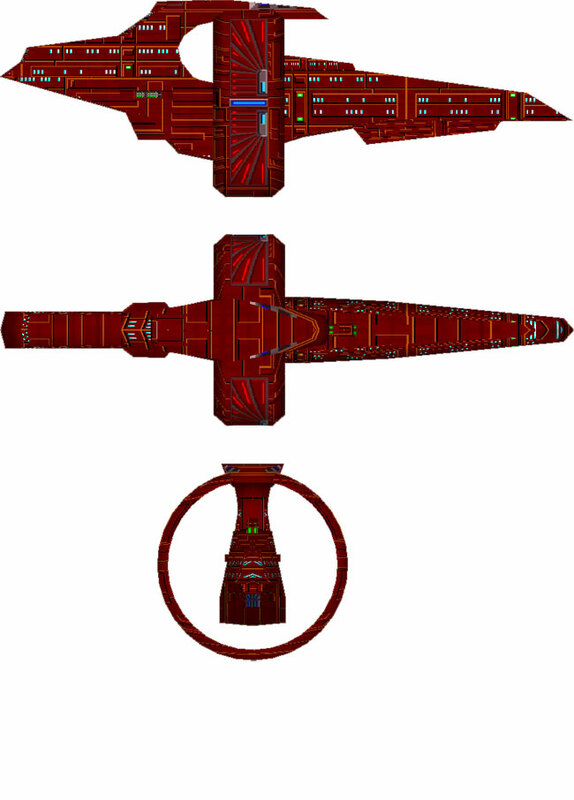 The circle appears to be a symbol of great importance in their culture. 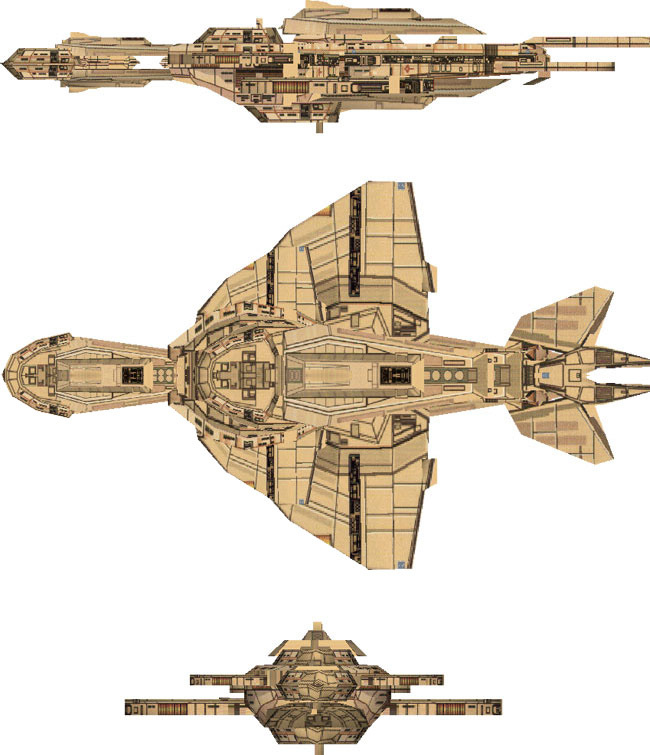 Their military hierarchy is also a religious hierarchy; translated ranks include Vicar, Deacon, Bishop and Arch-Bishop. 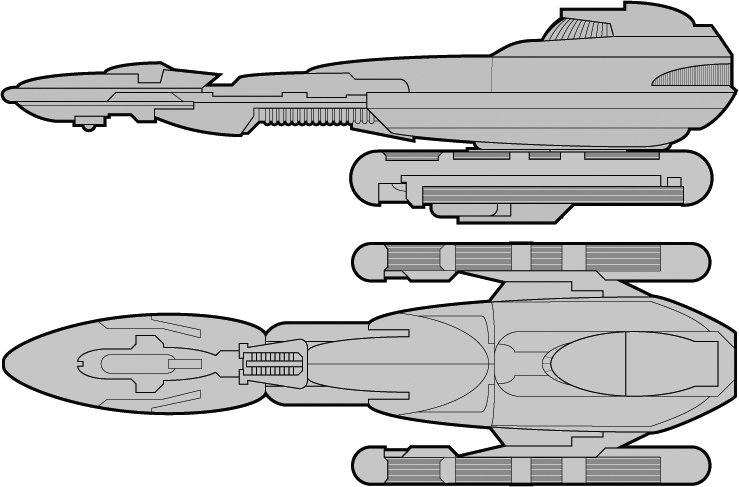 (ST novel: A Singular Destiny). 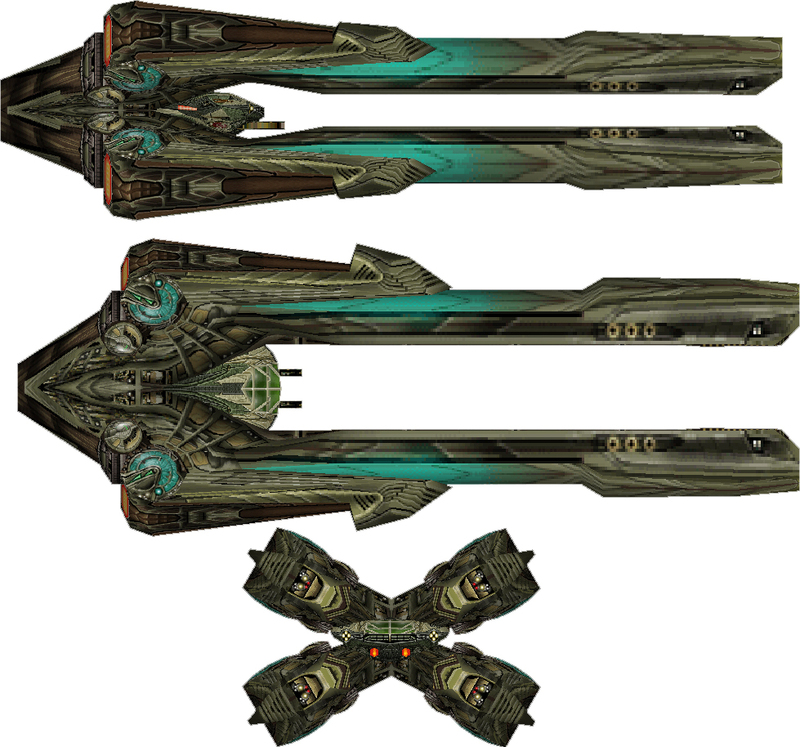 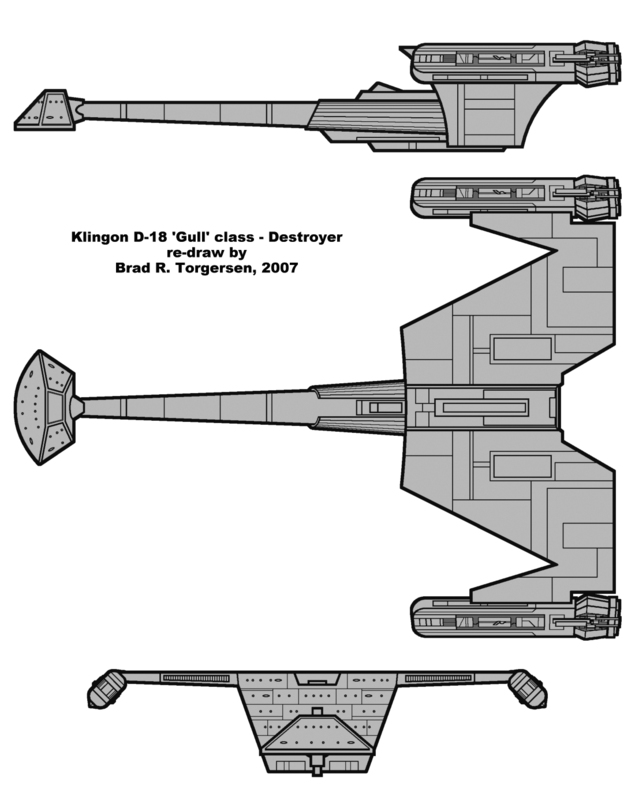 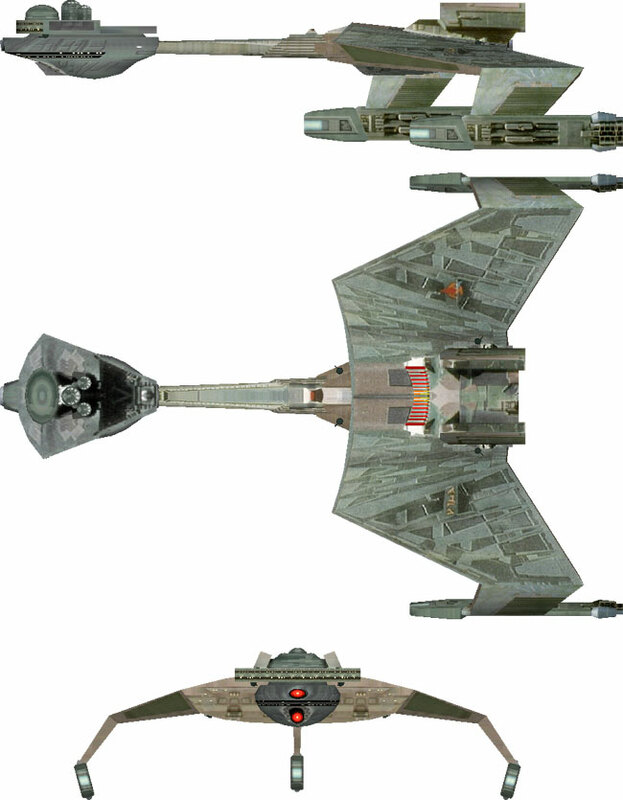 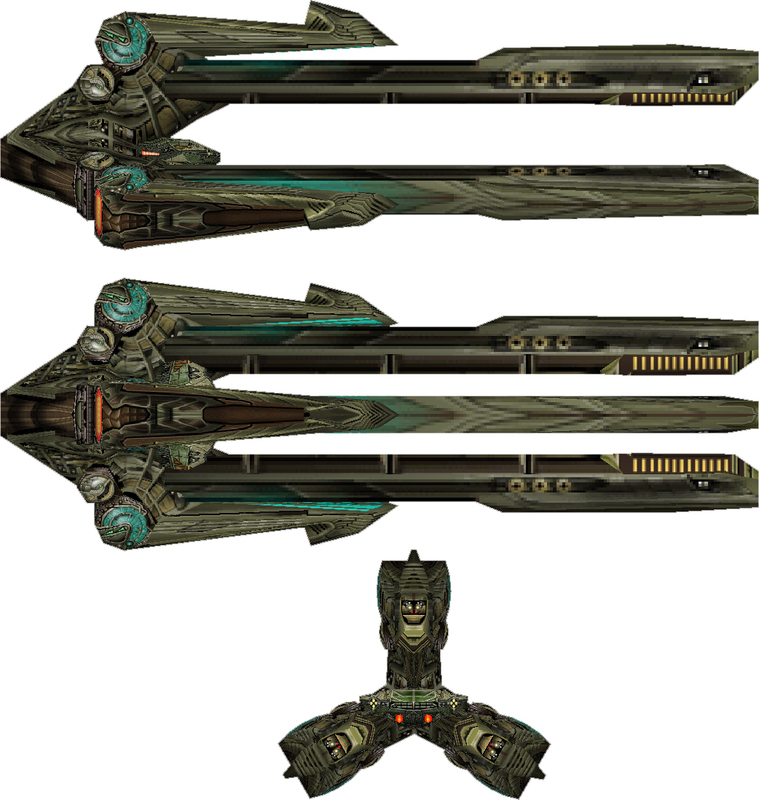 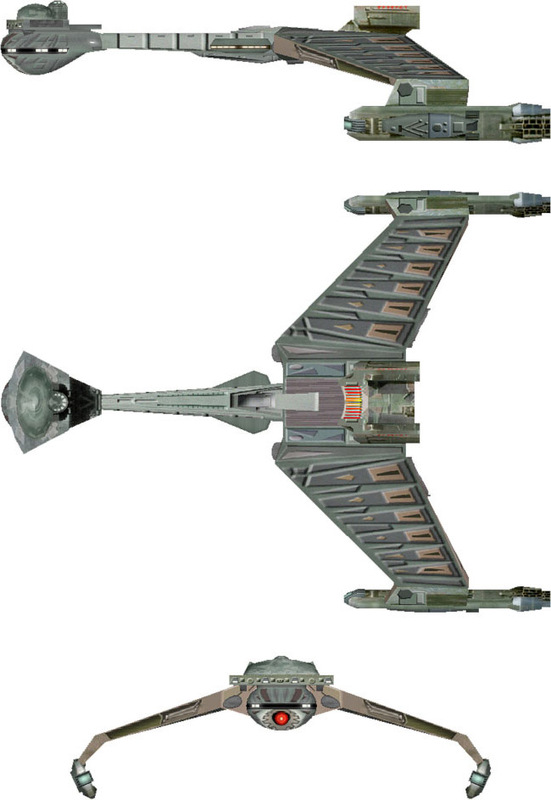 The Kinshaya have been at war with the Klingons for centuries. 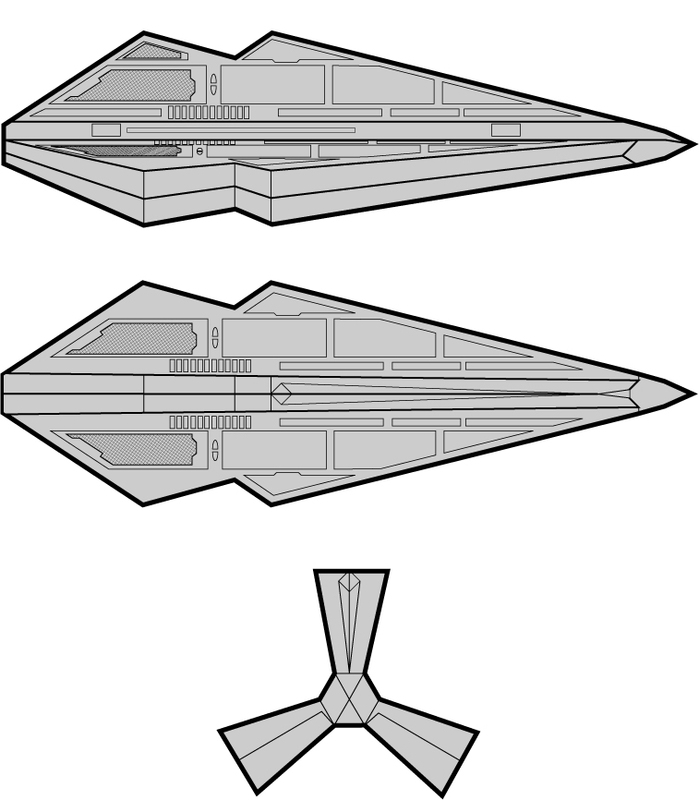 They are too powerful to be conquered, but not powerful enough to serve a major threat. 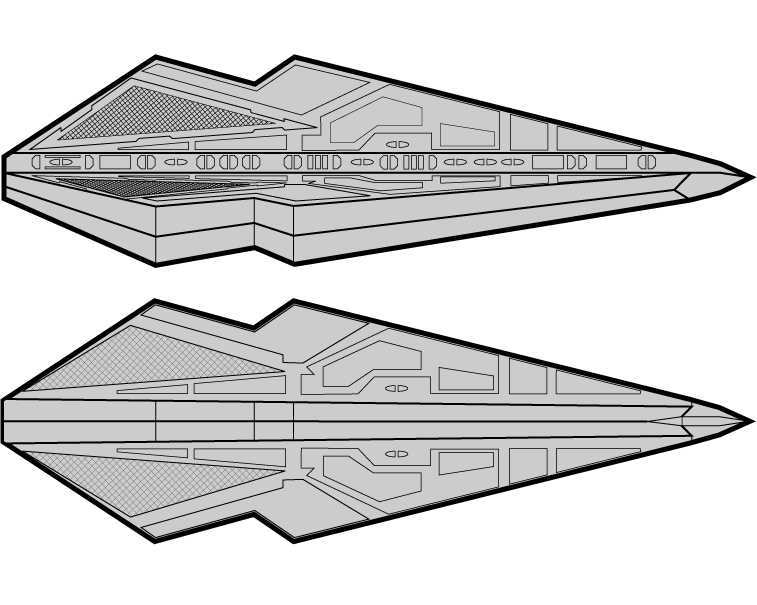 What began the conflict is uncertain, but the Klingon thirst for conquest and the Kinshaya insistance that Klingons are "Demons" are both likely causes. 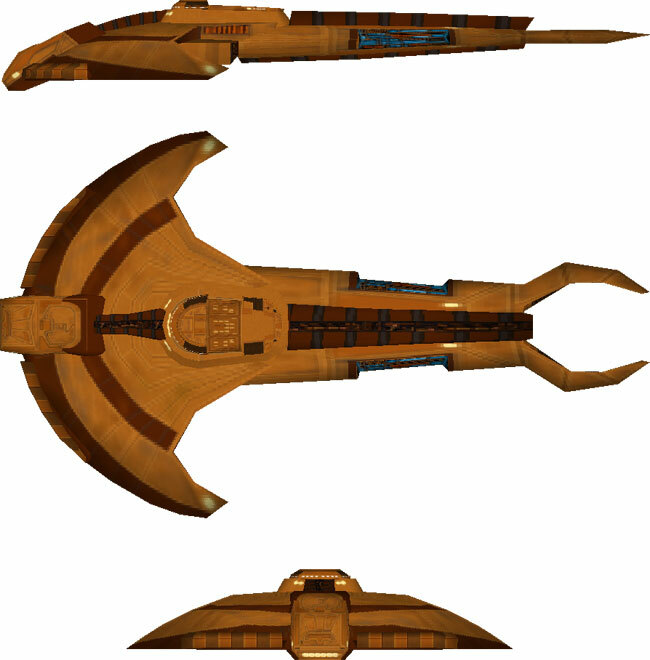 In the late 2370s, in the years following the Dominion War, the Kinshaya renewed their aggression against the Klingon Empire. 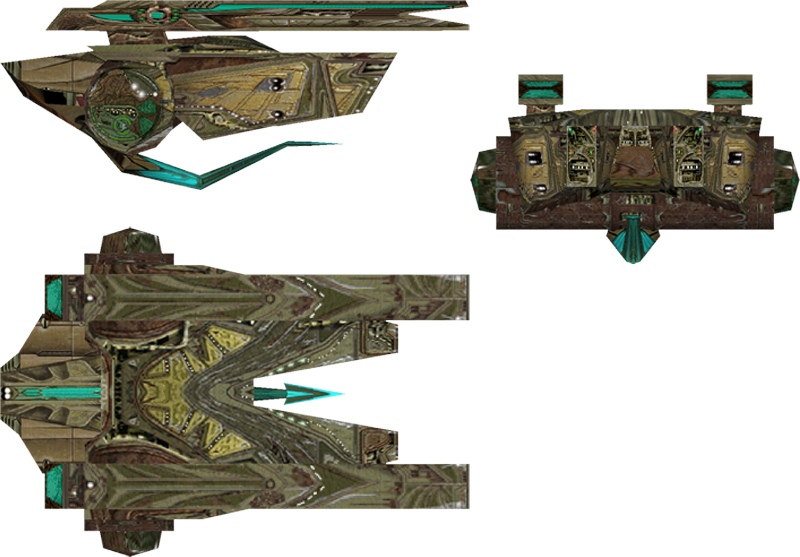 They started out by conquering the Kreel and absorbing their resources. 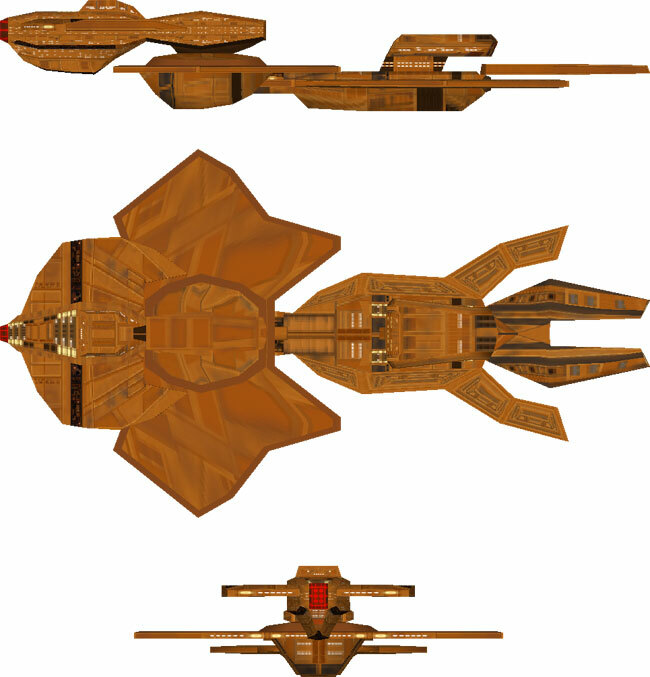 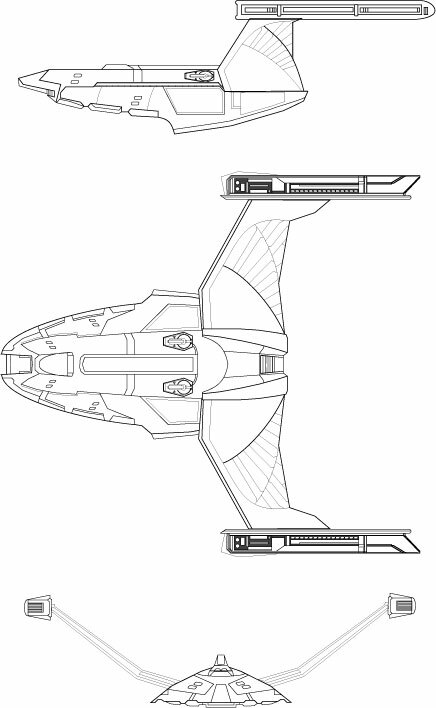 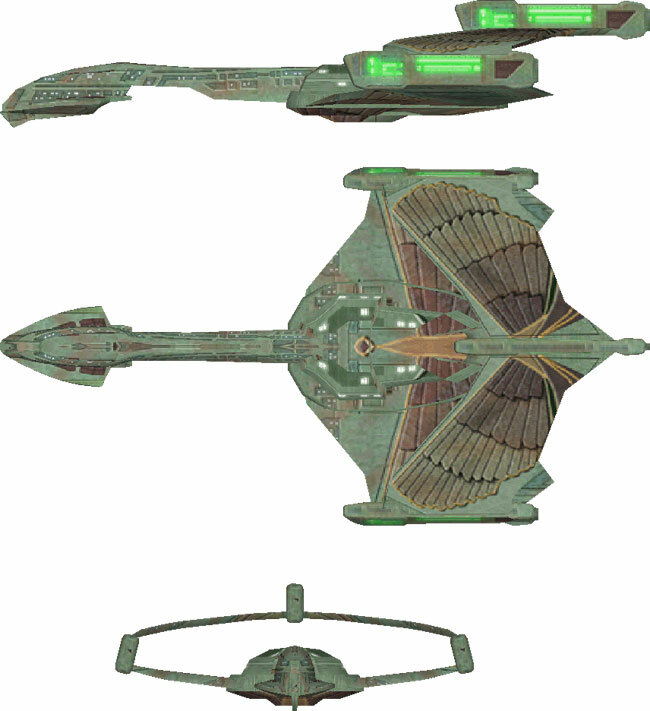 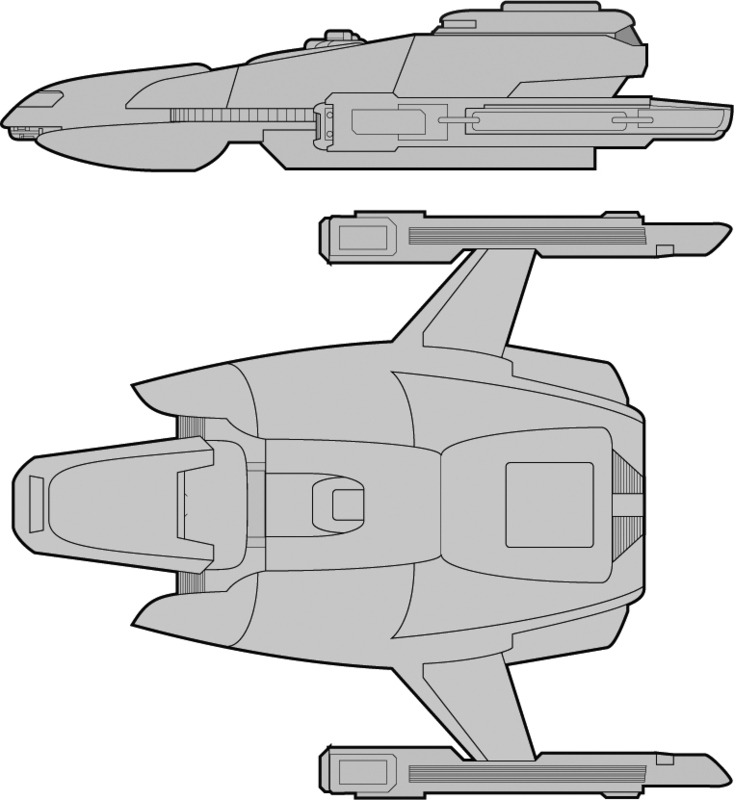 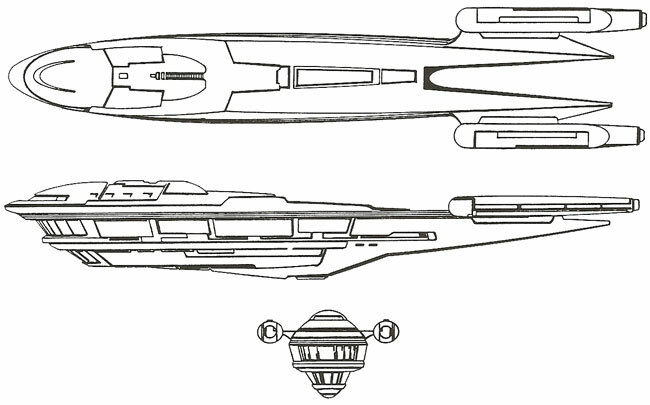 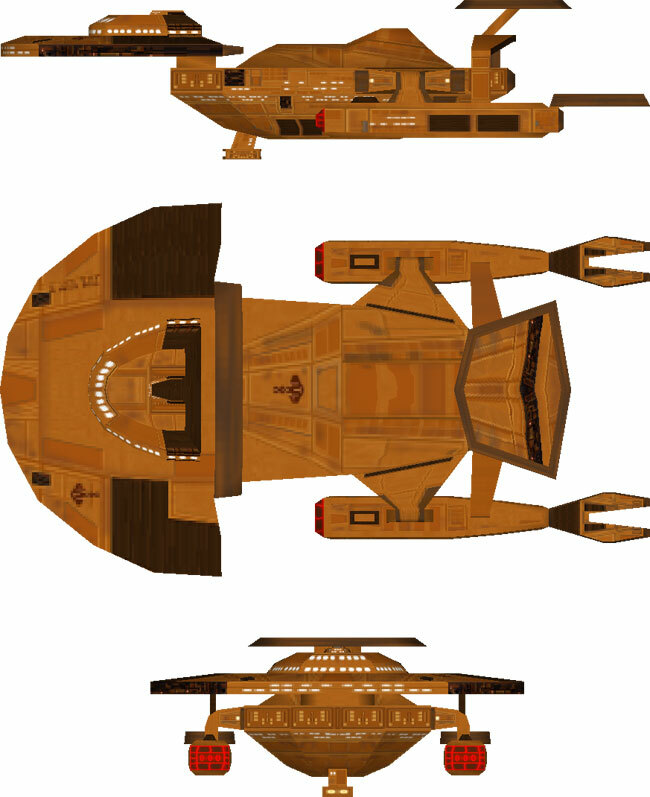 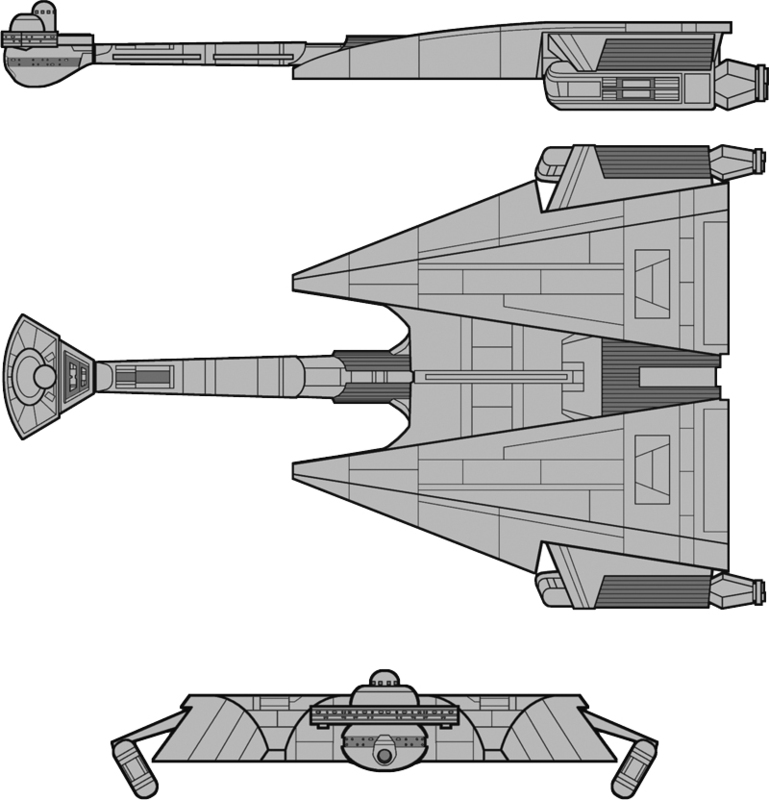 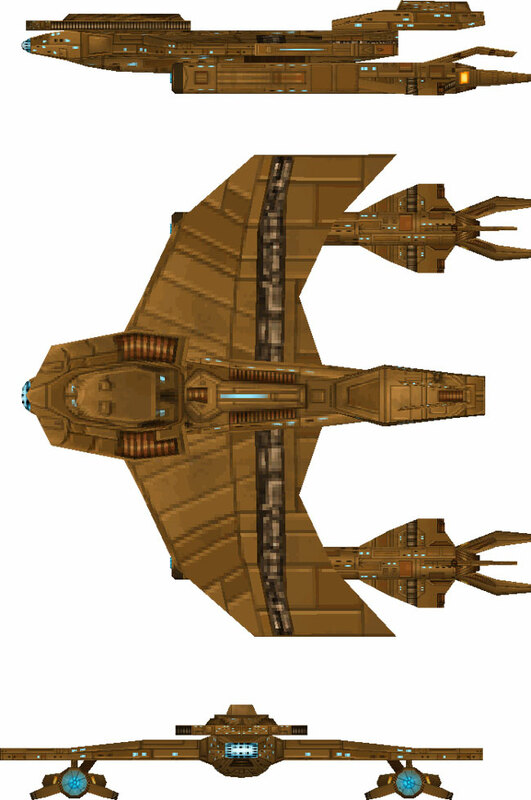 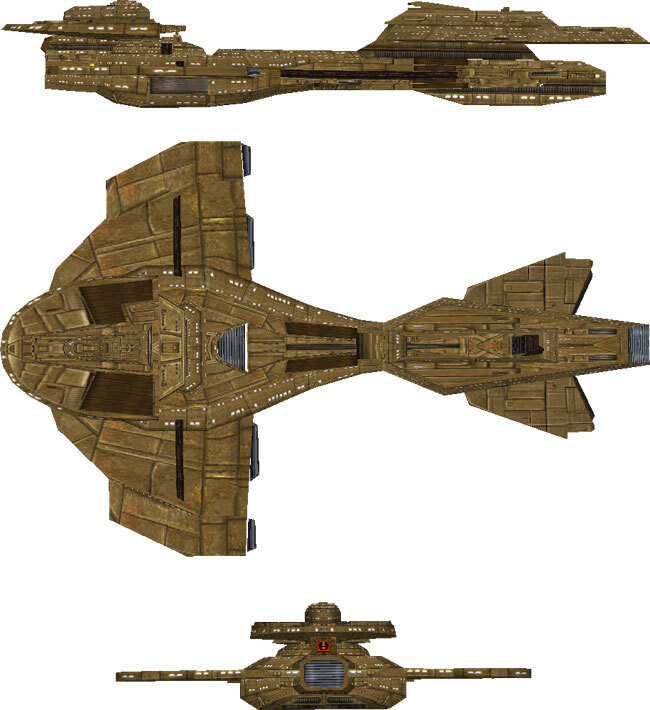 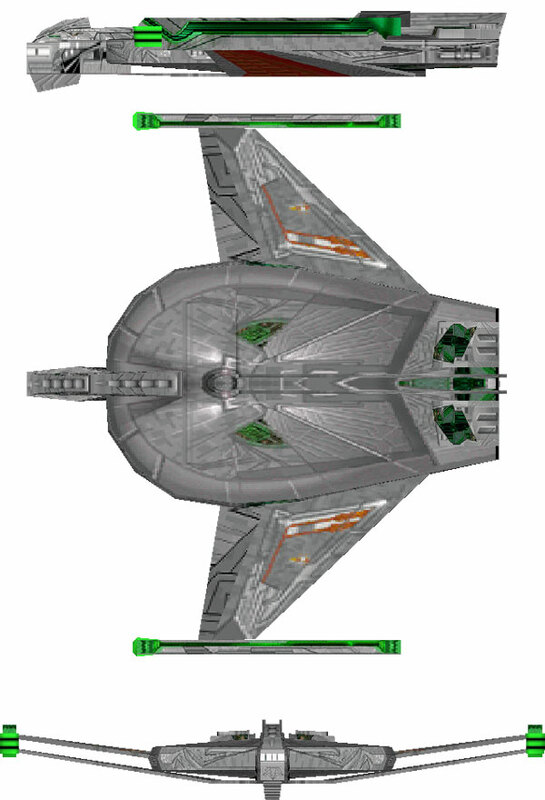 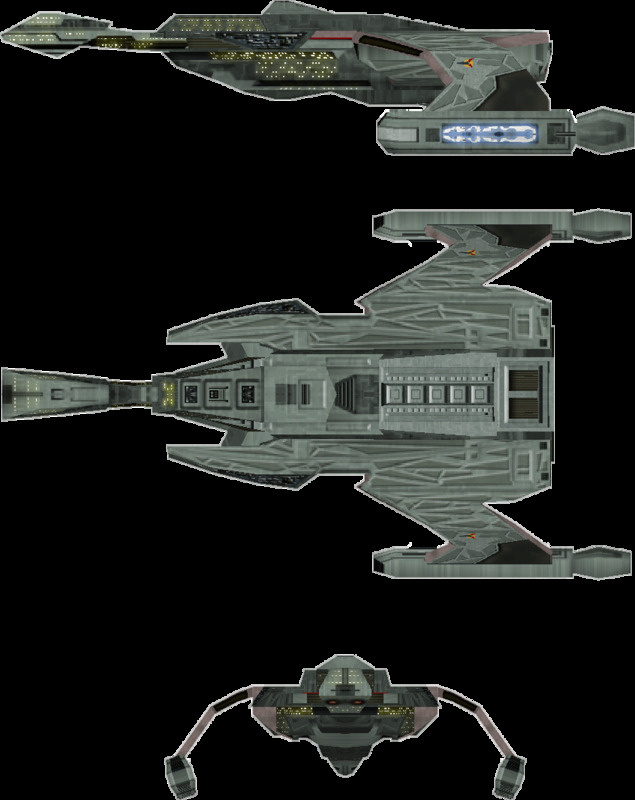 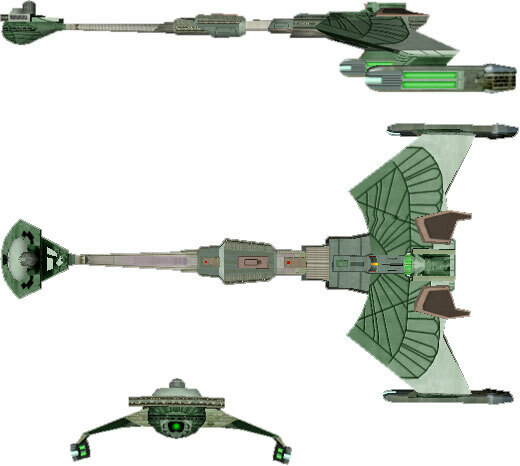 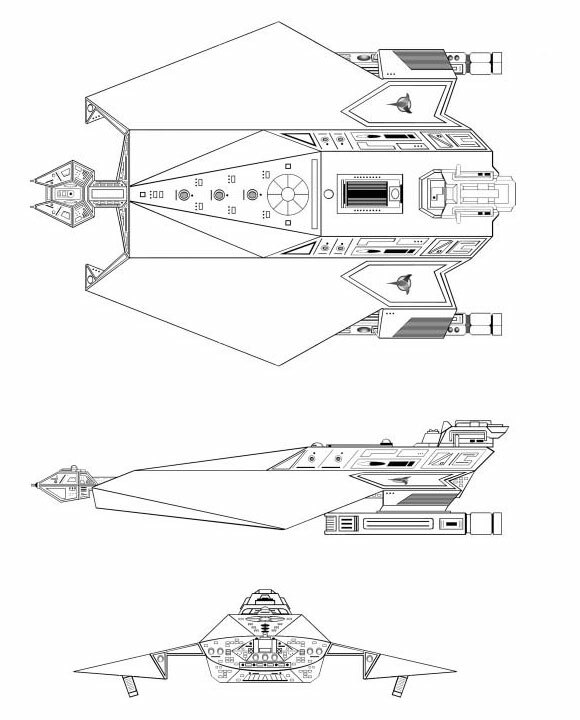 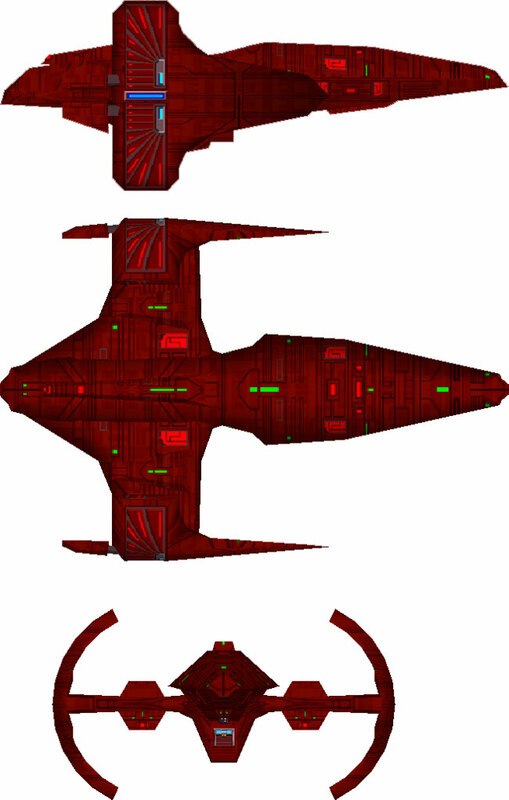 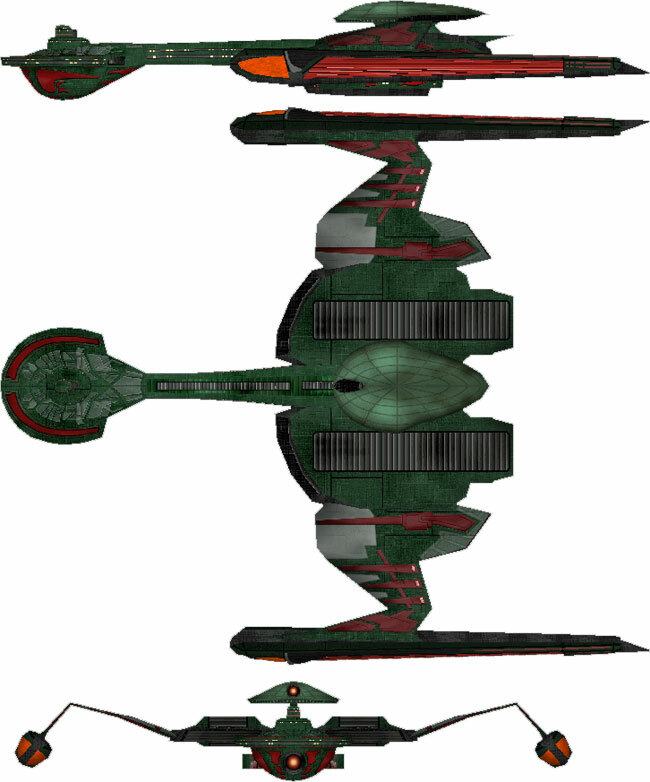 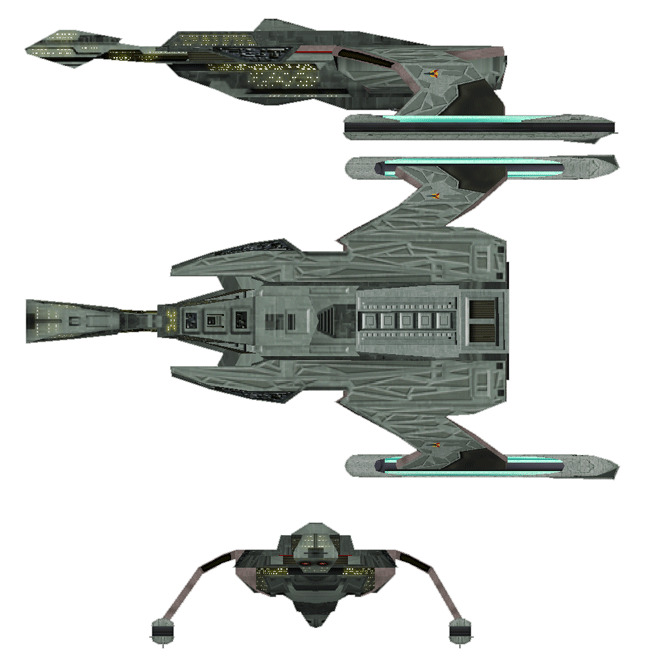 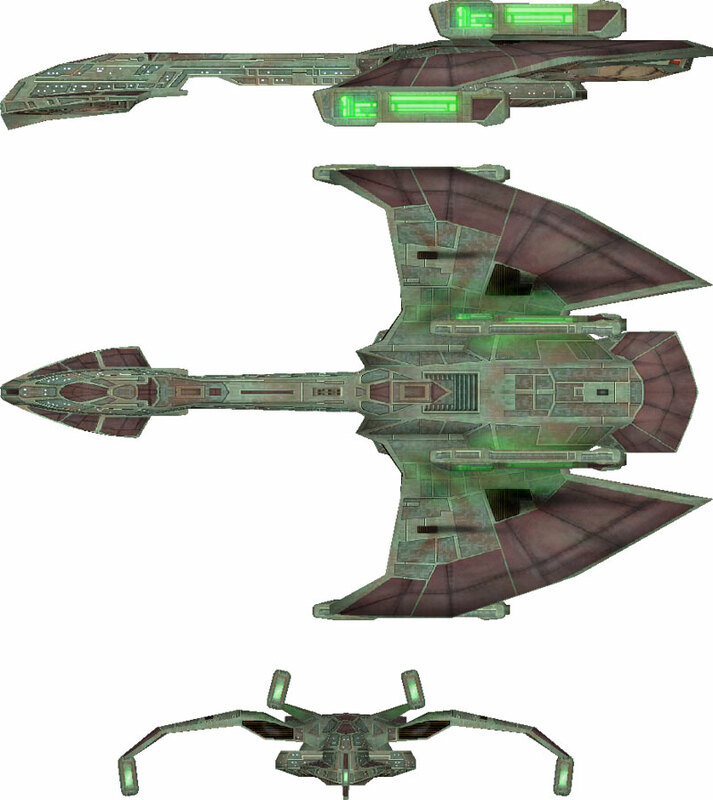 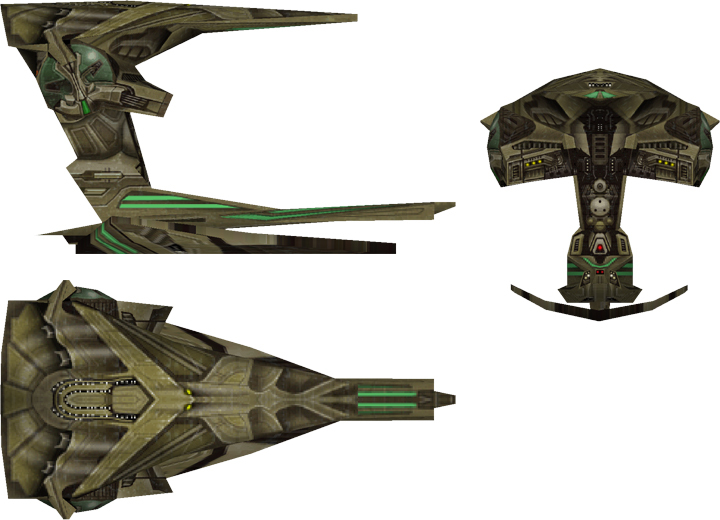 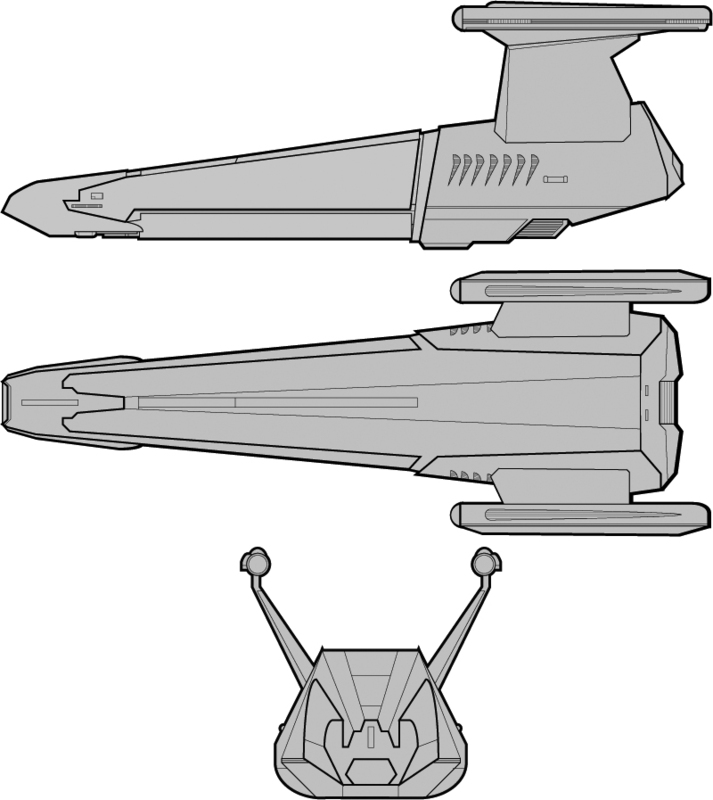 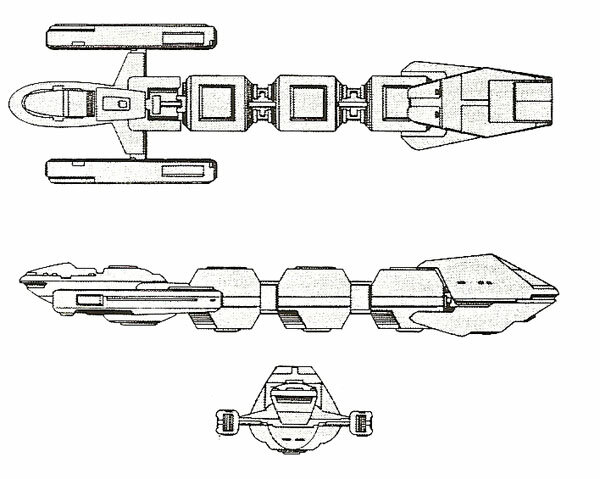 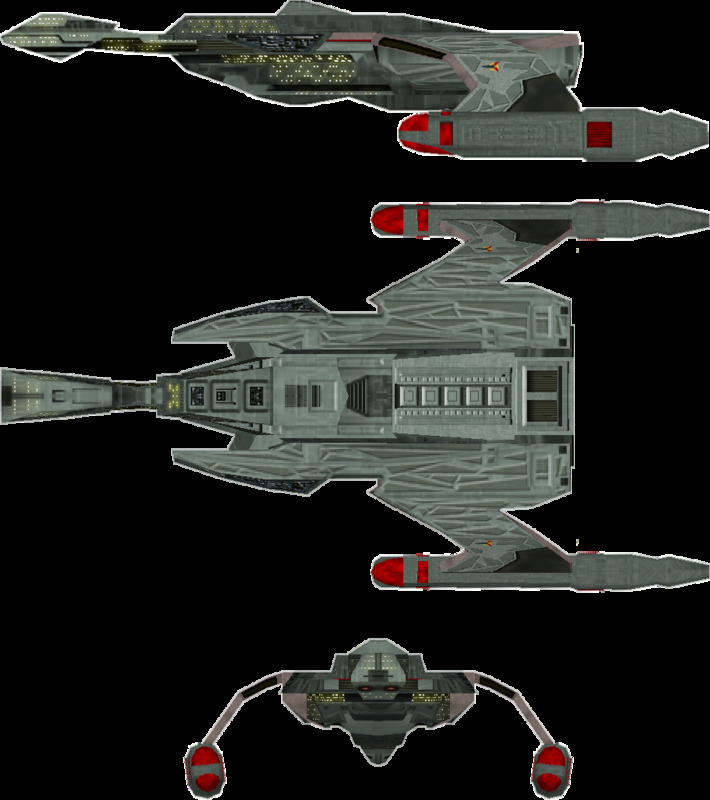 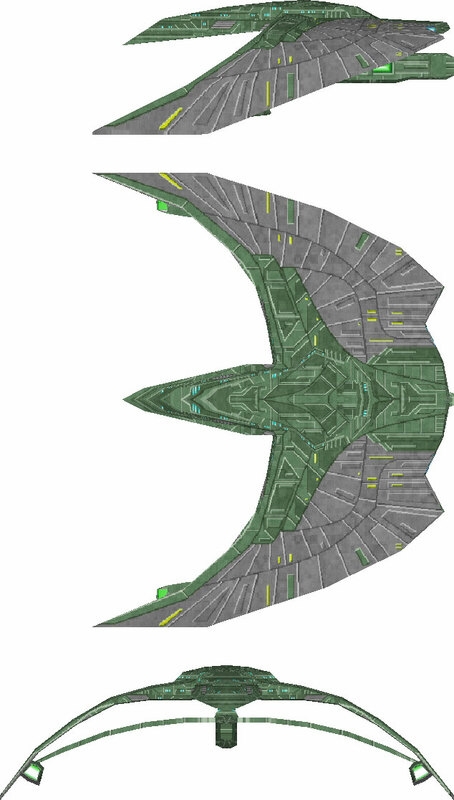 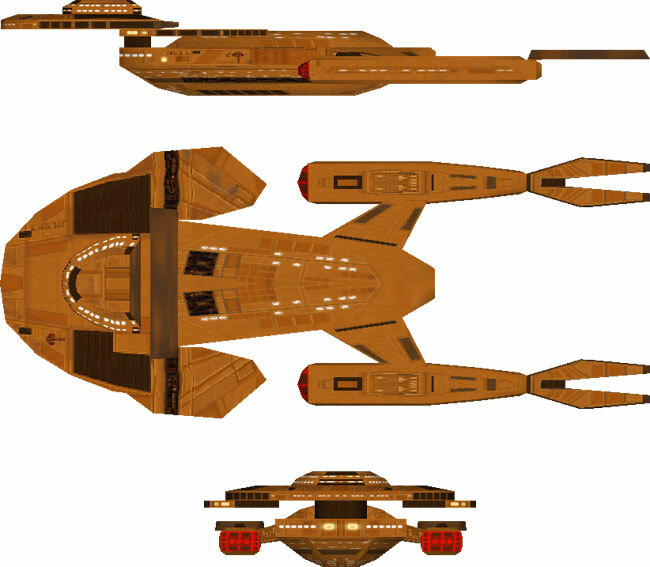 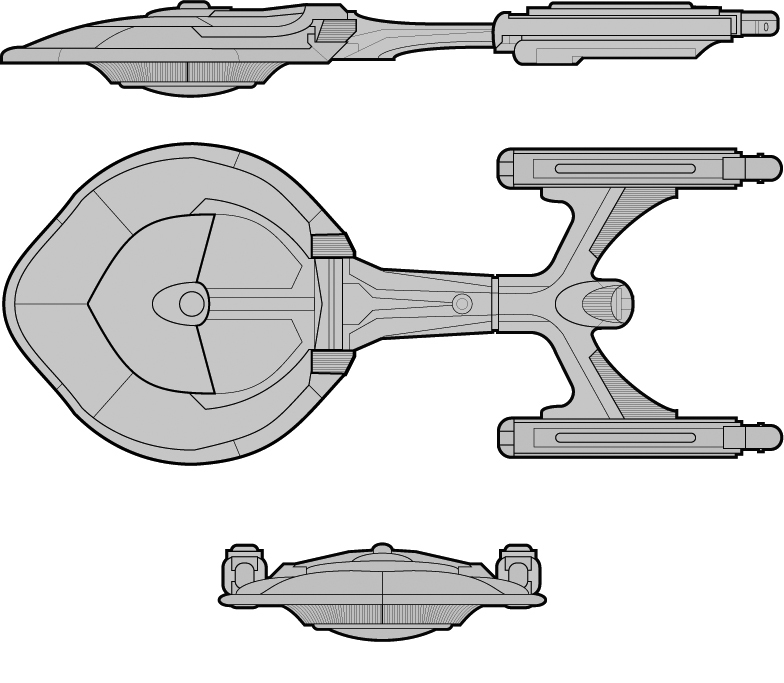 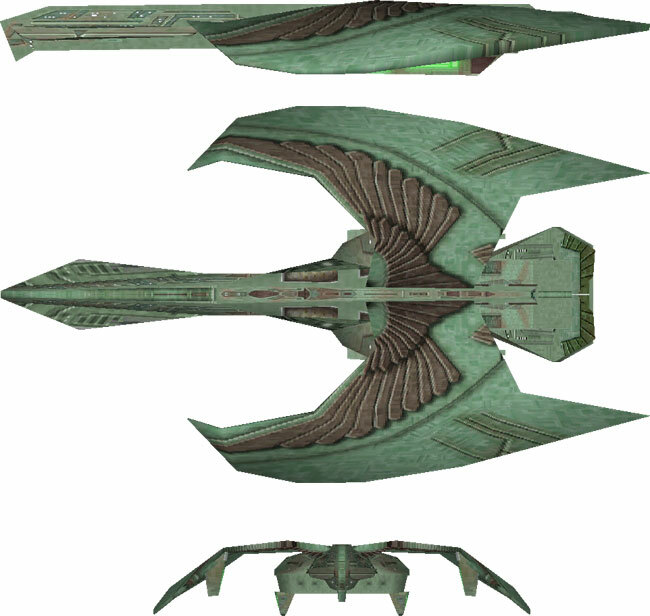 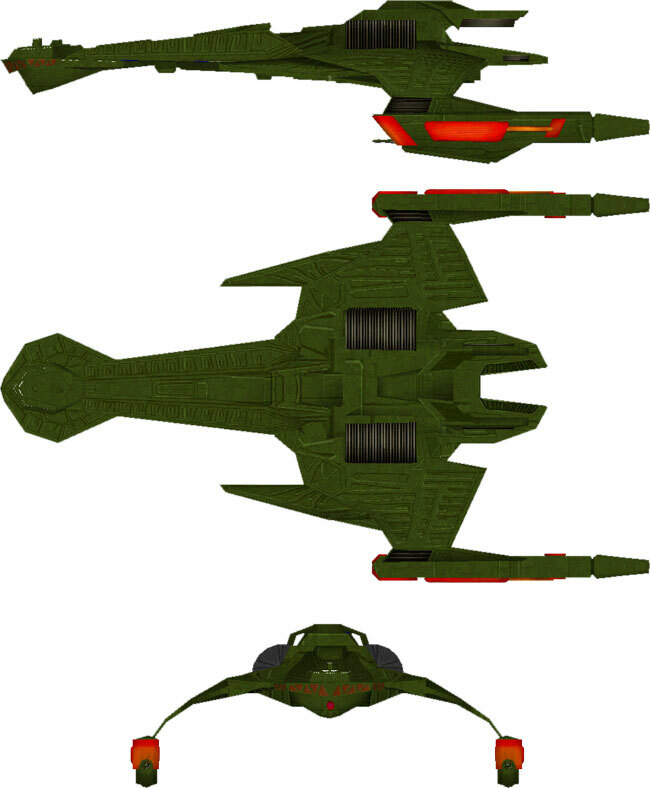 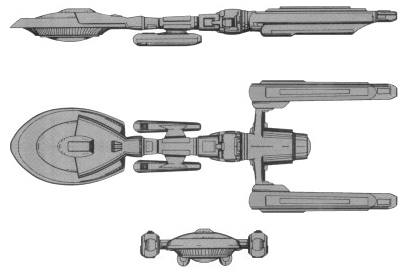 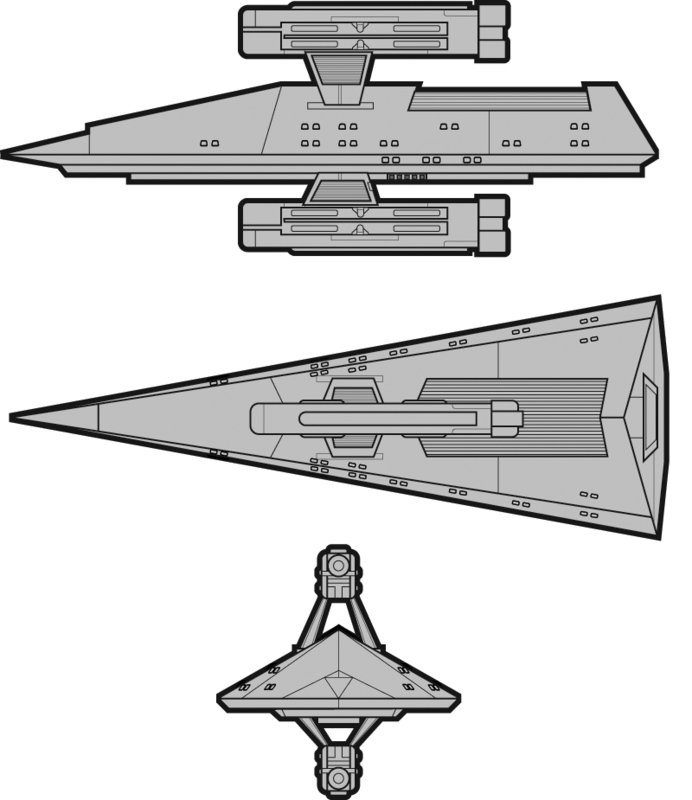 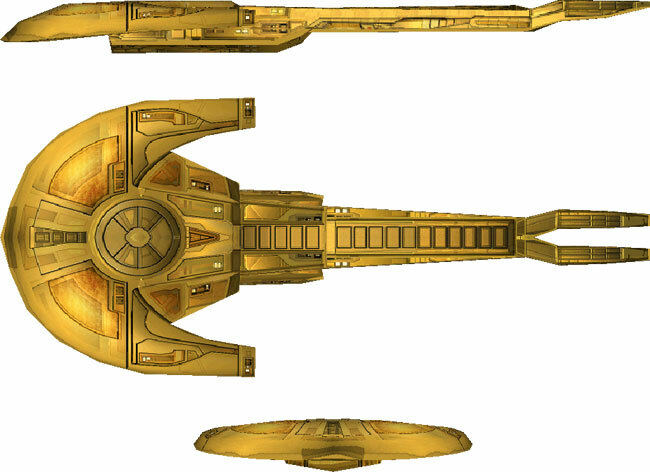 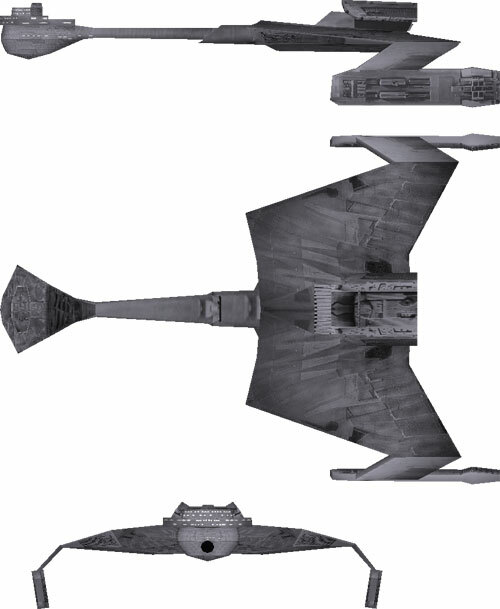 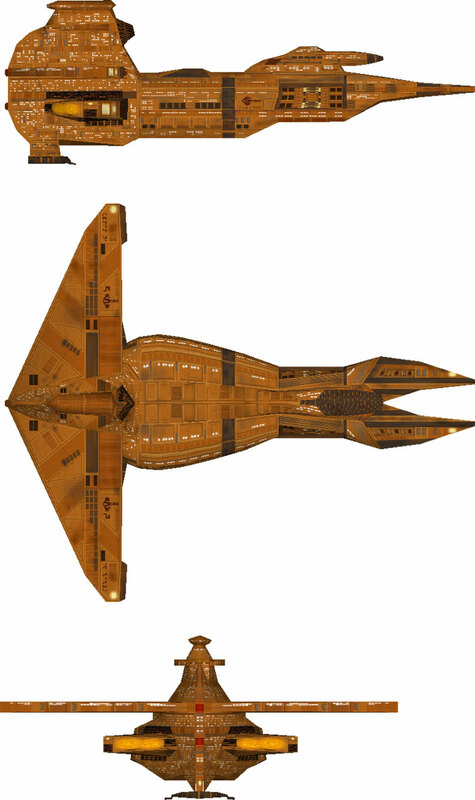 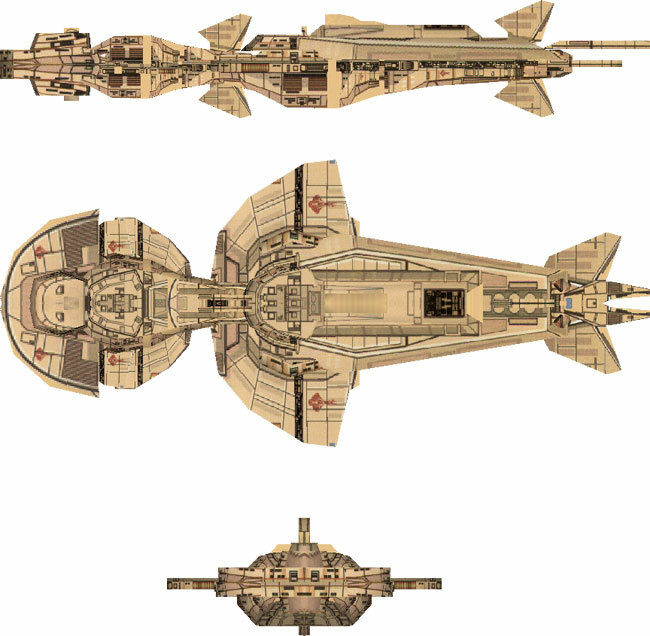 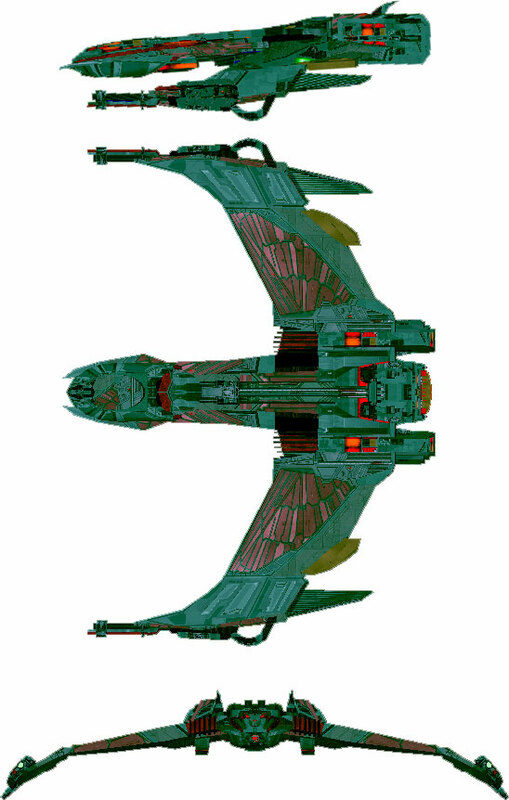 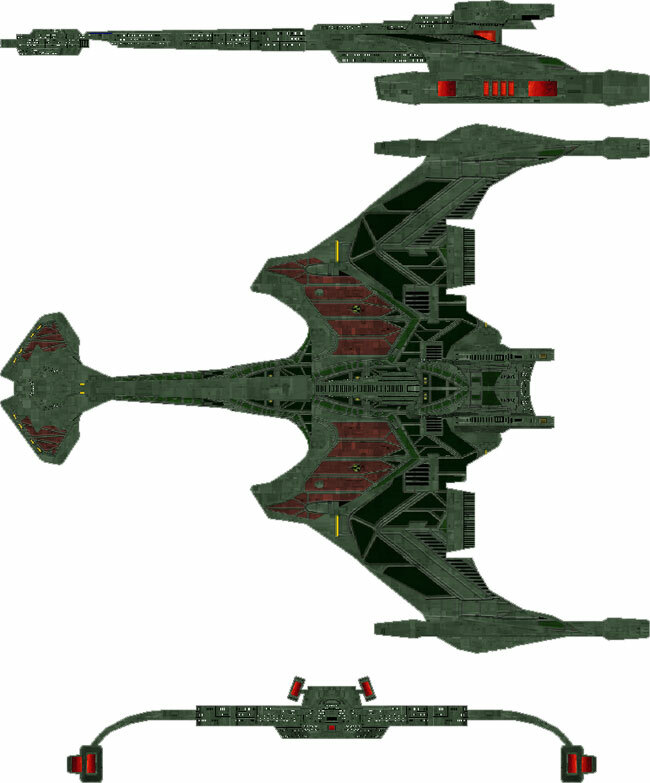 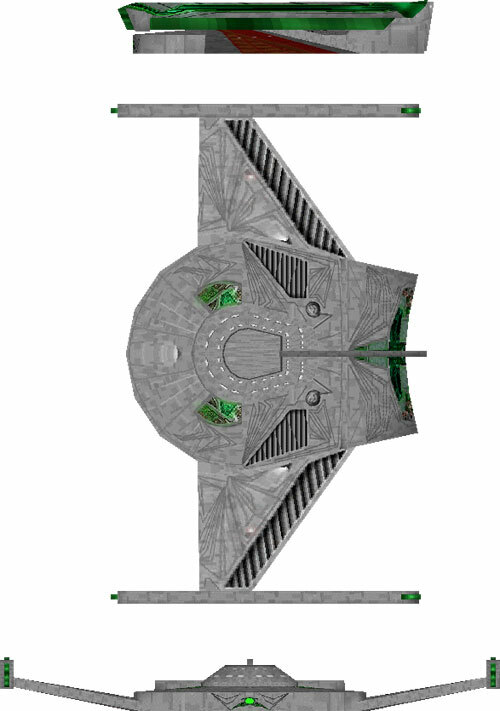 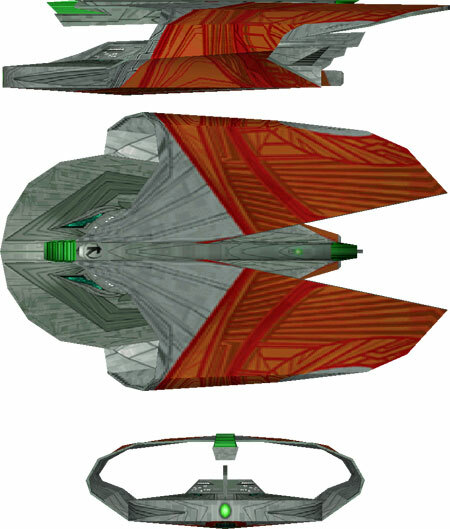 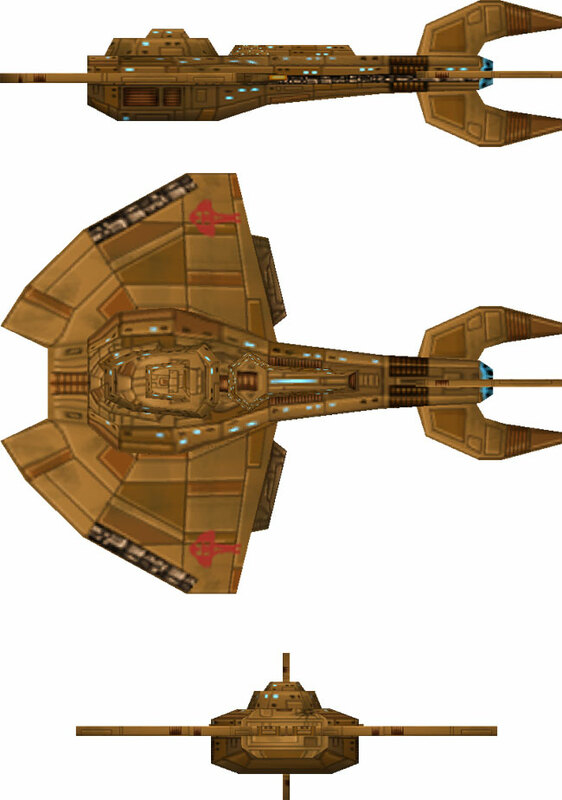 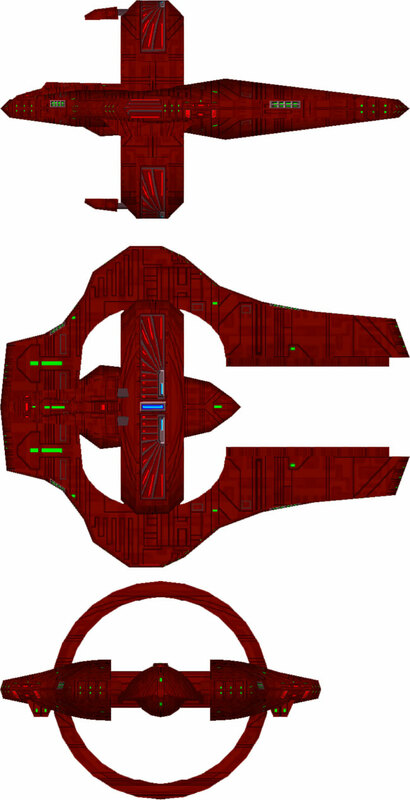 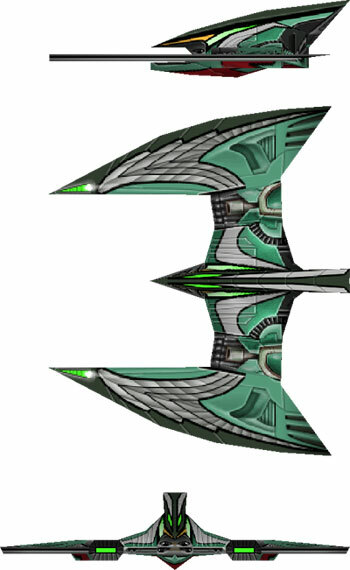 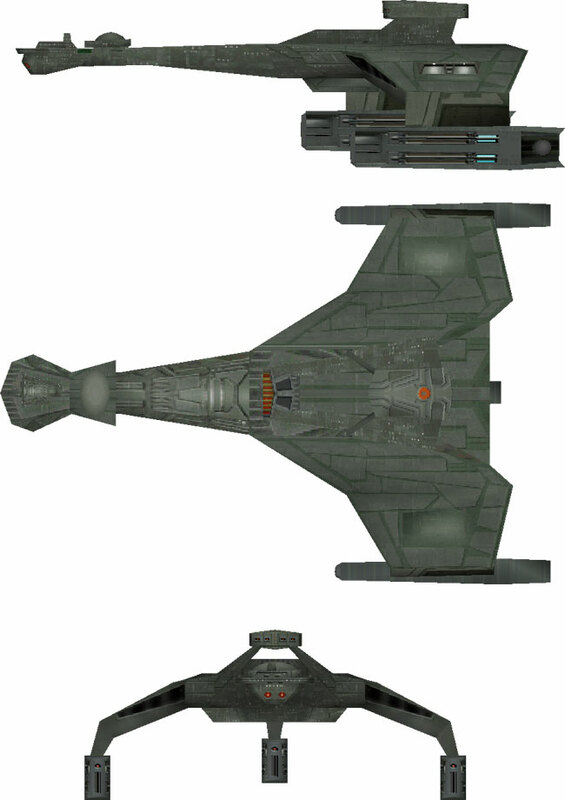 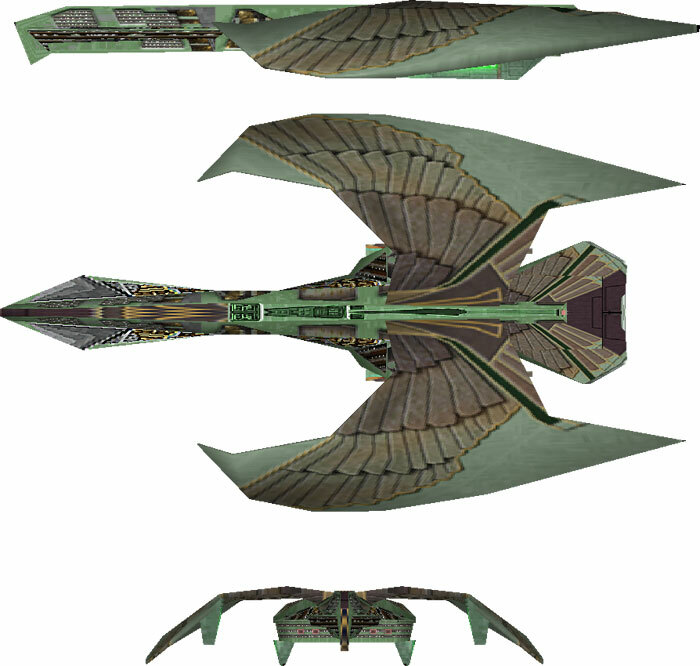 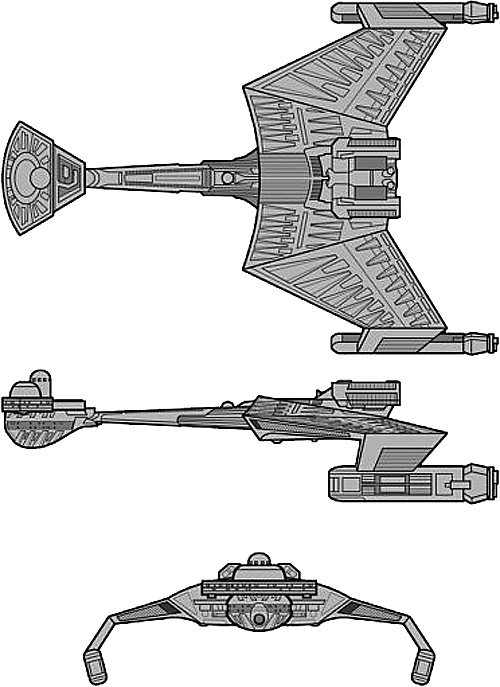 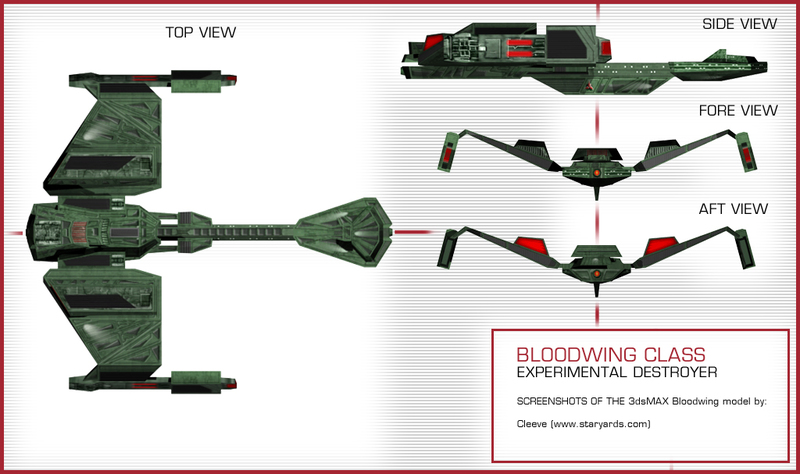 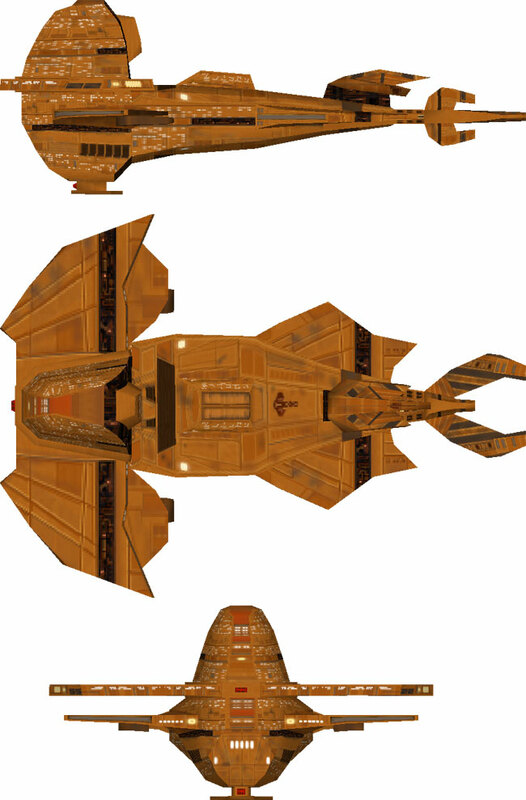 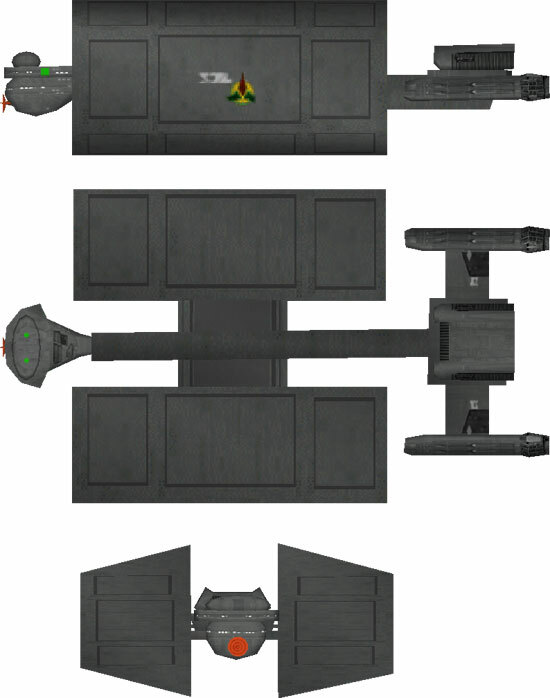 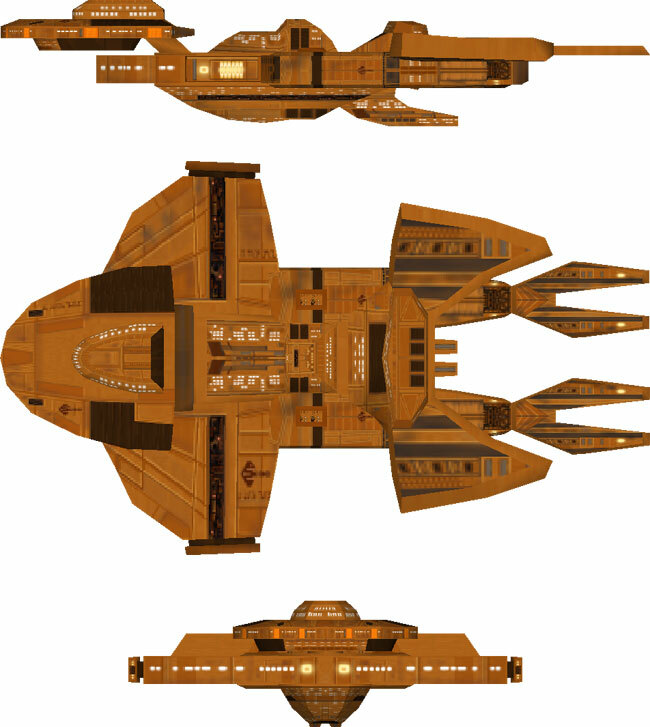 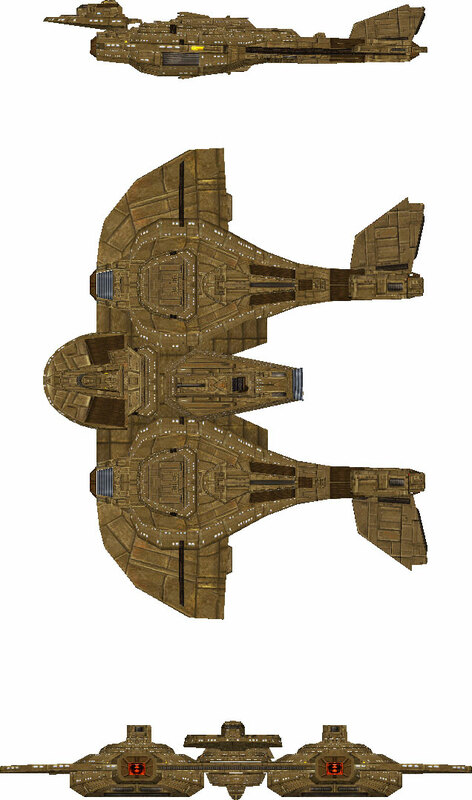 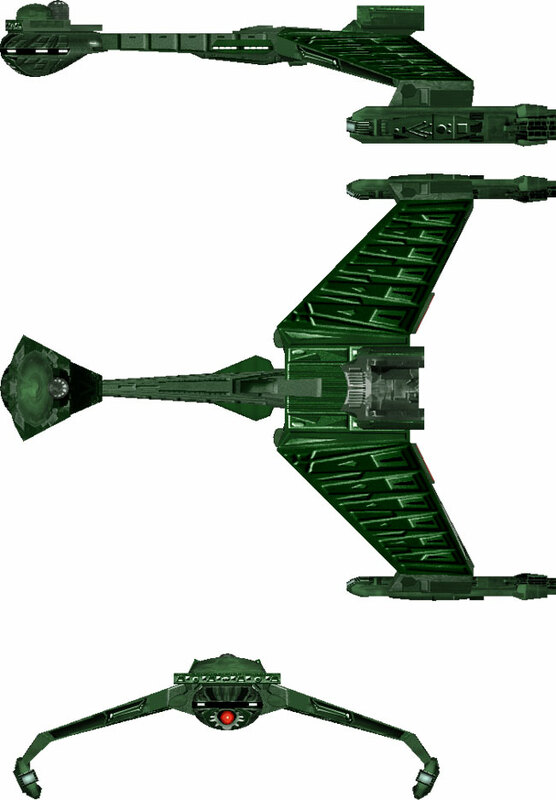 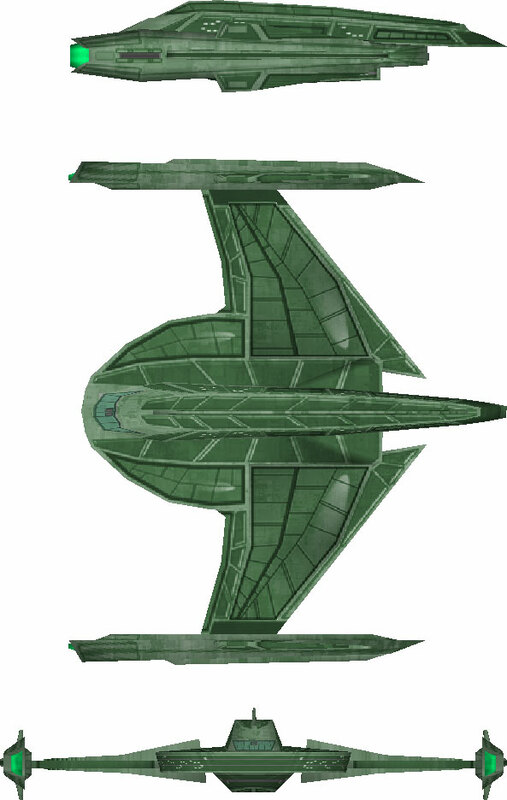 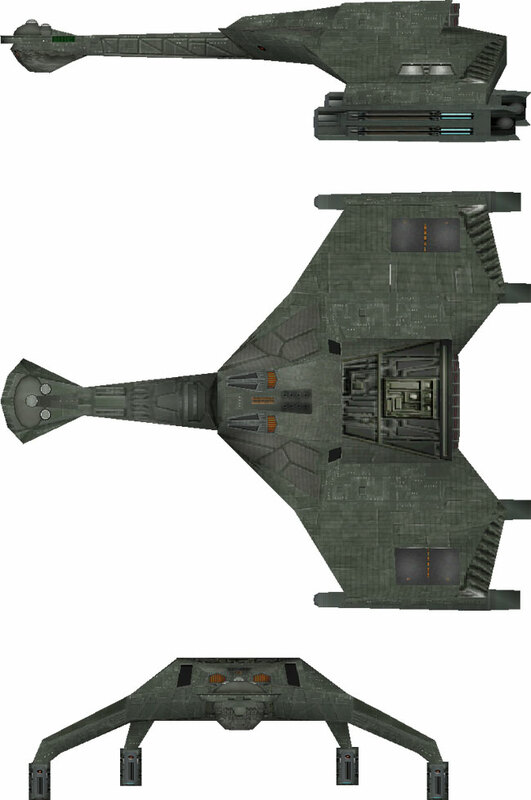 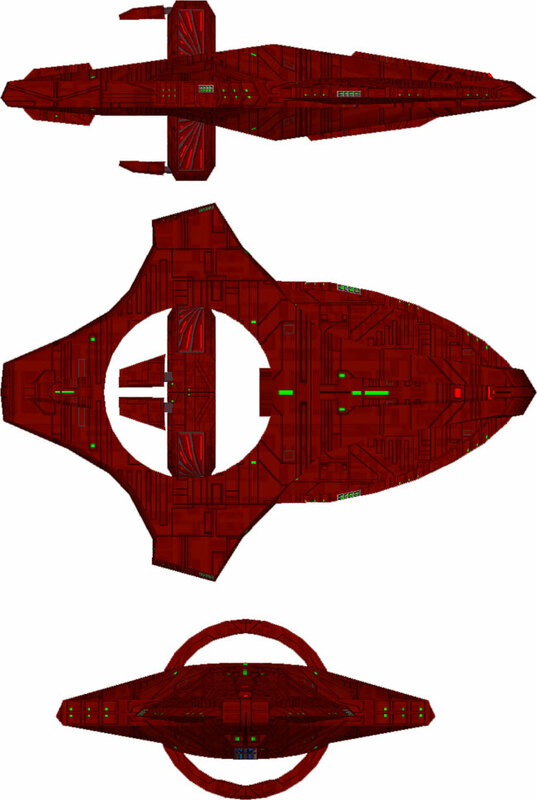 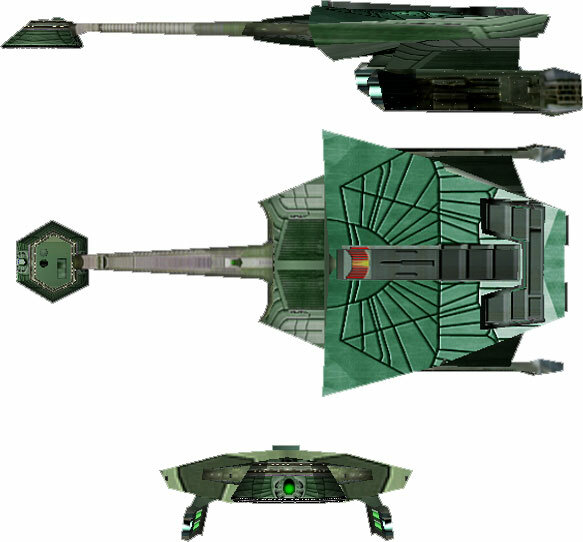 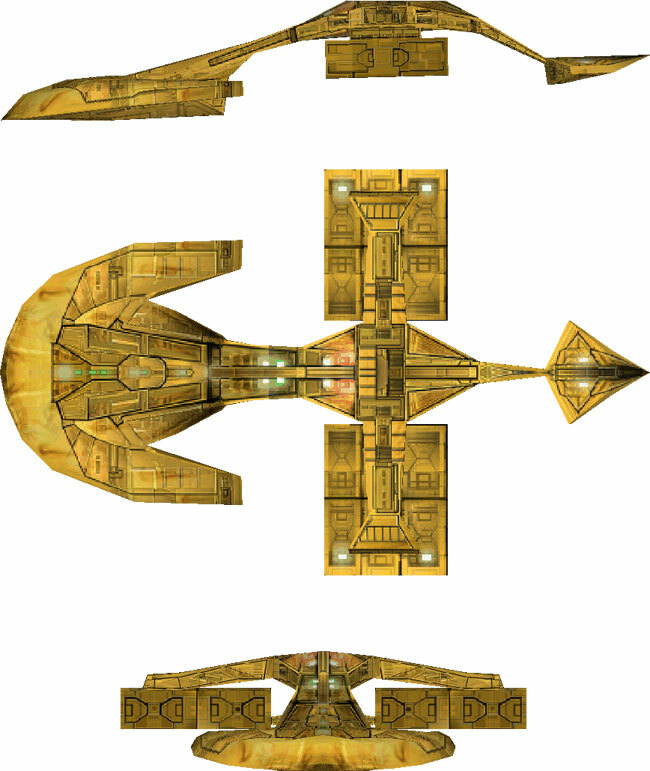 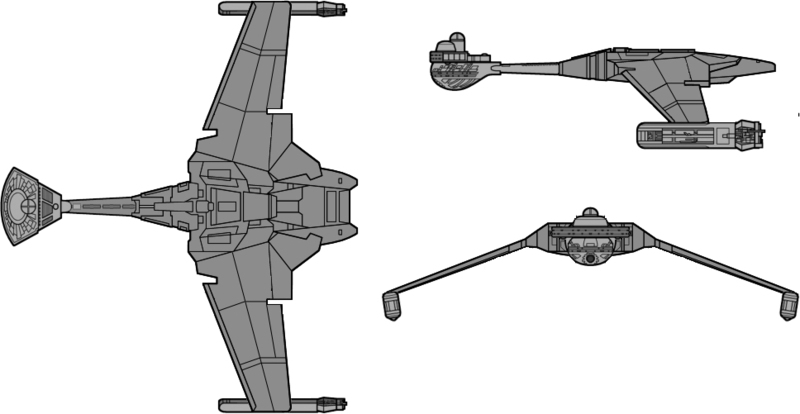 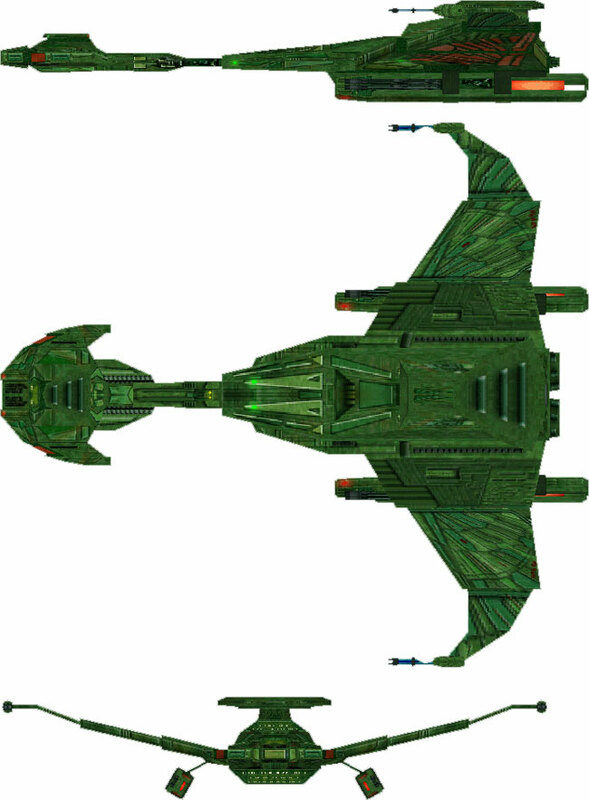 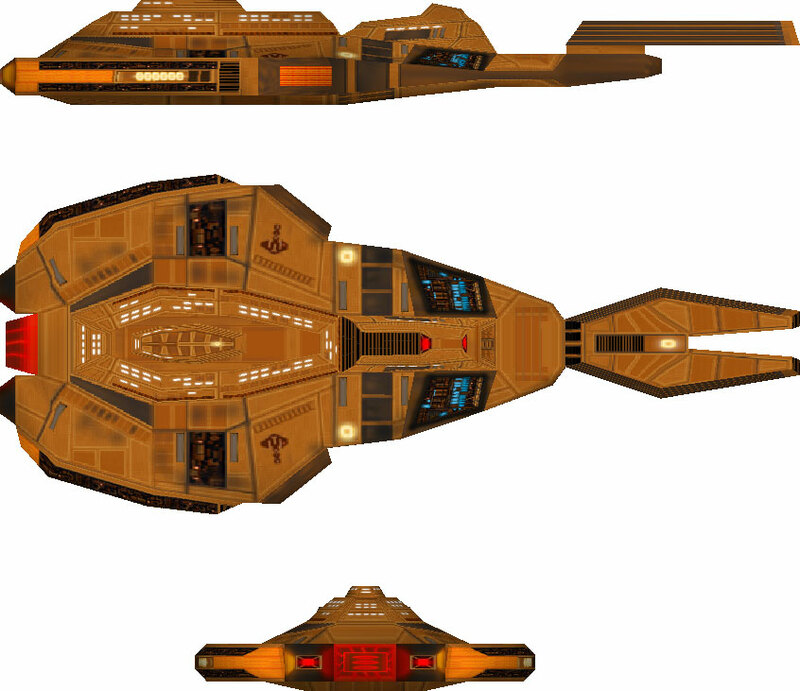 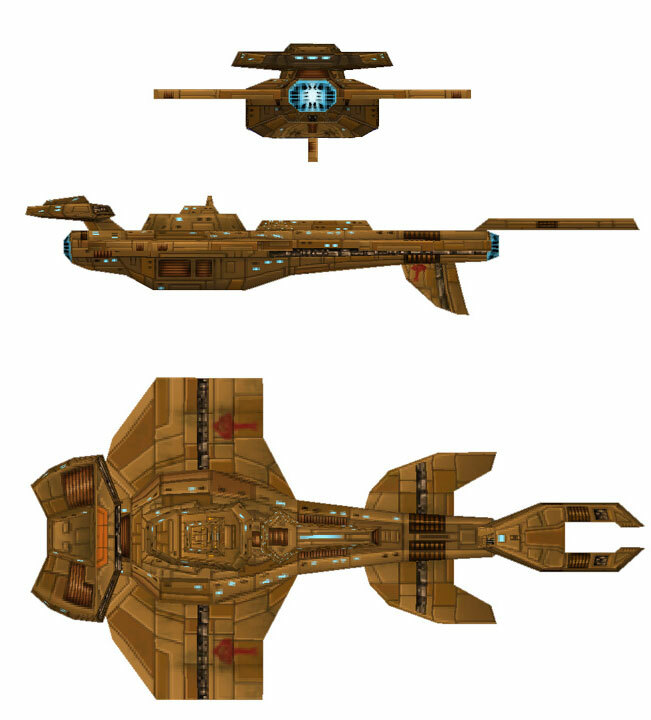 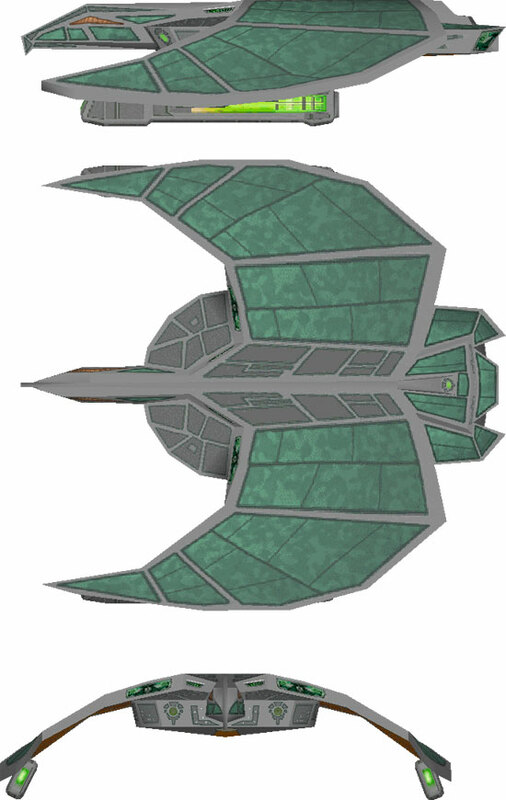 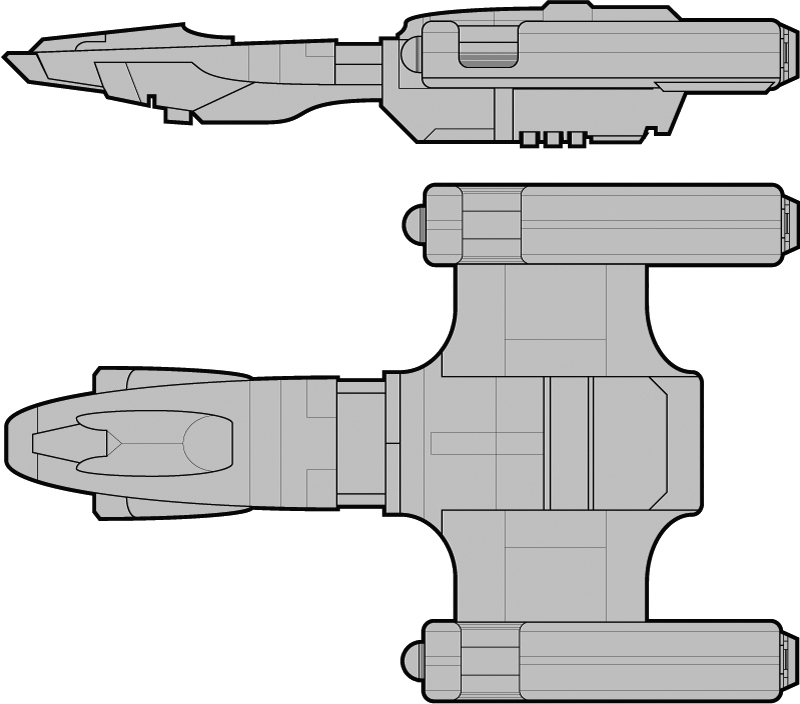 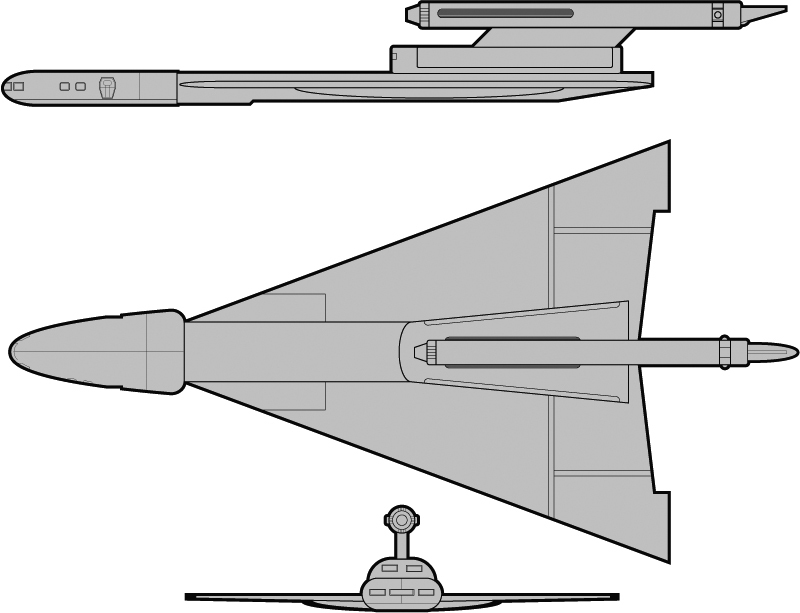 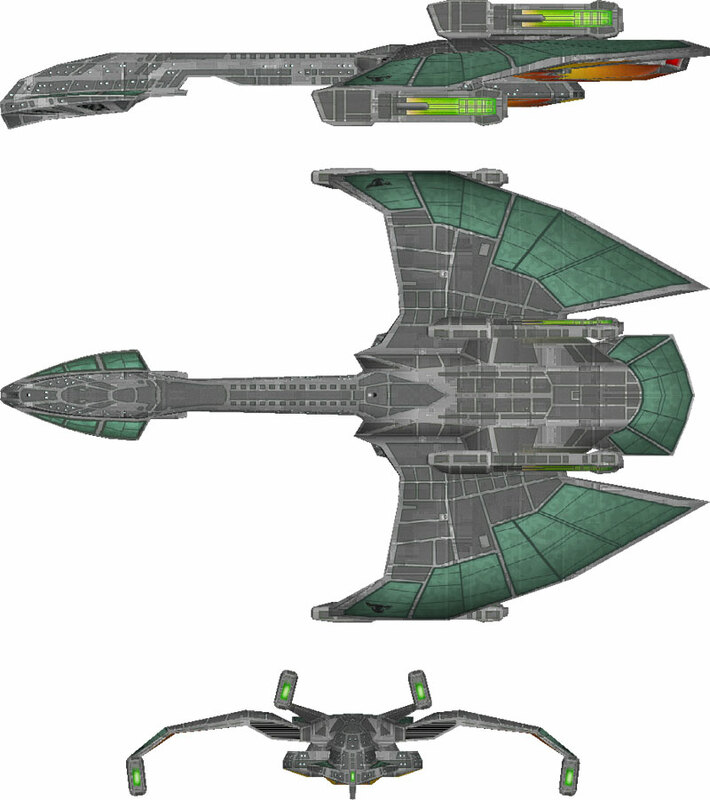 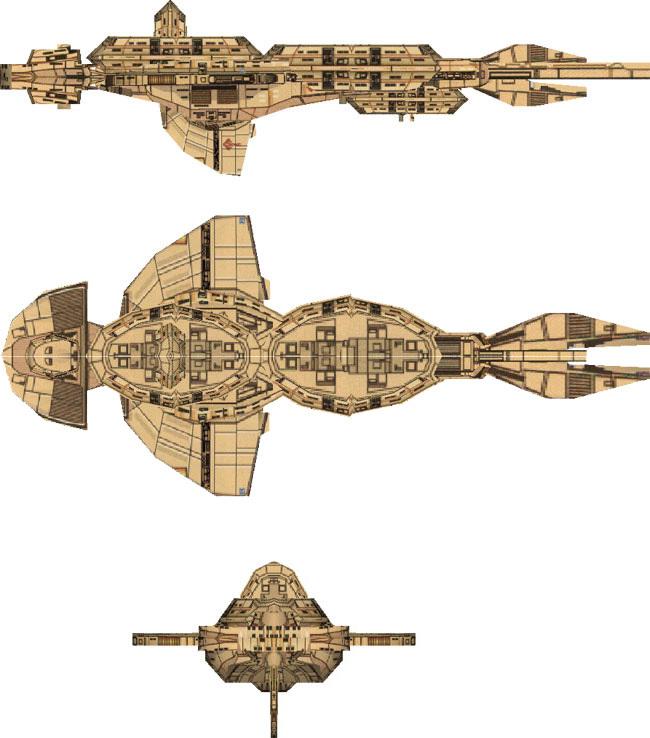 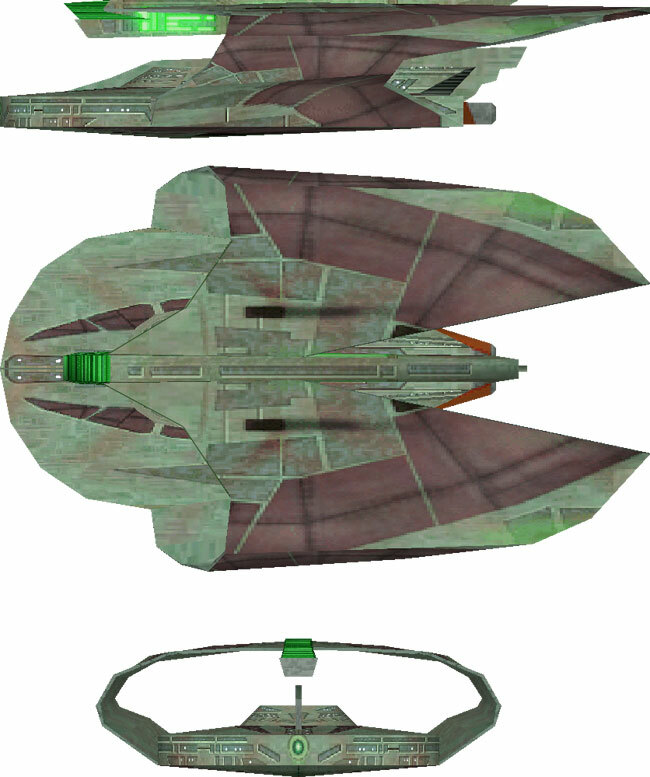 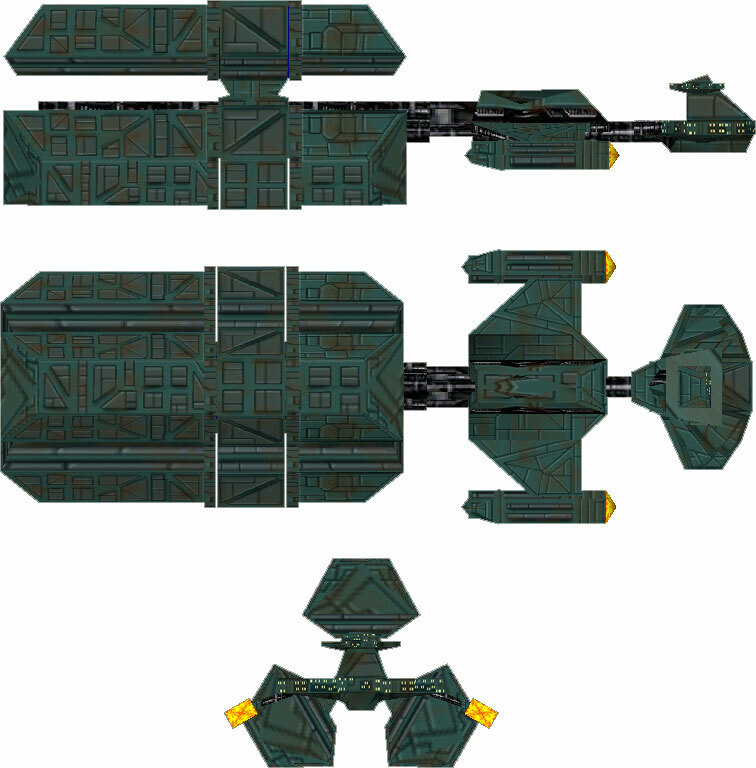 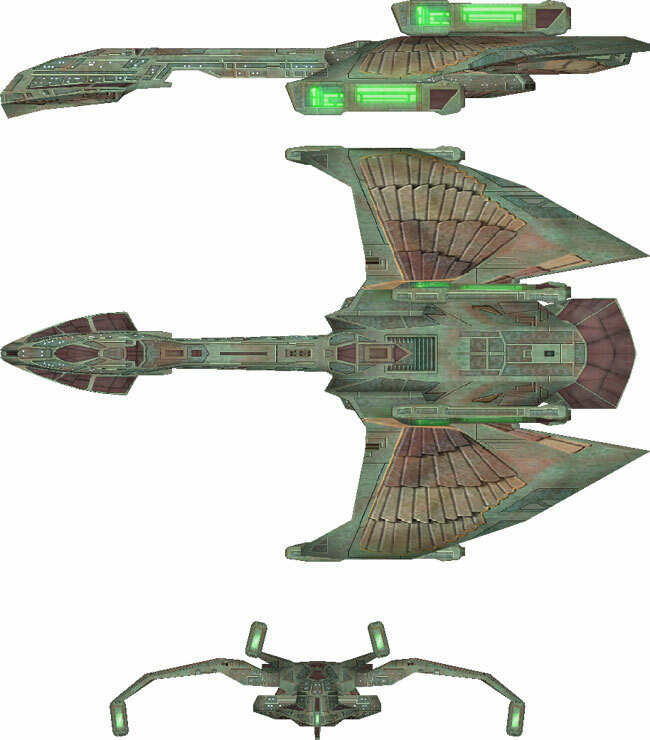 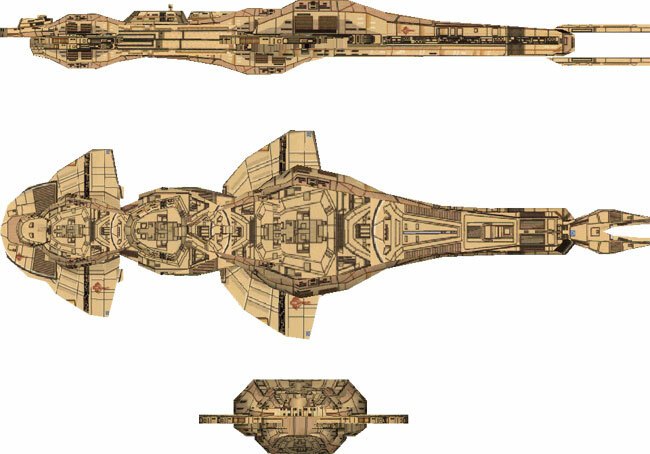 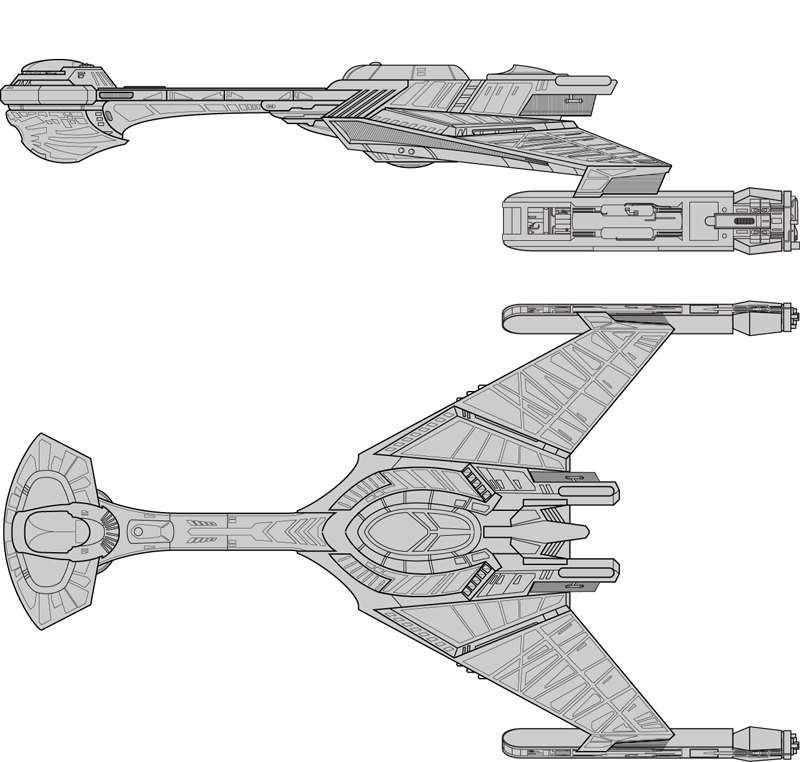 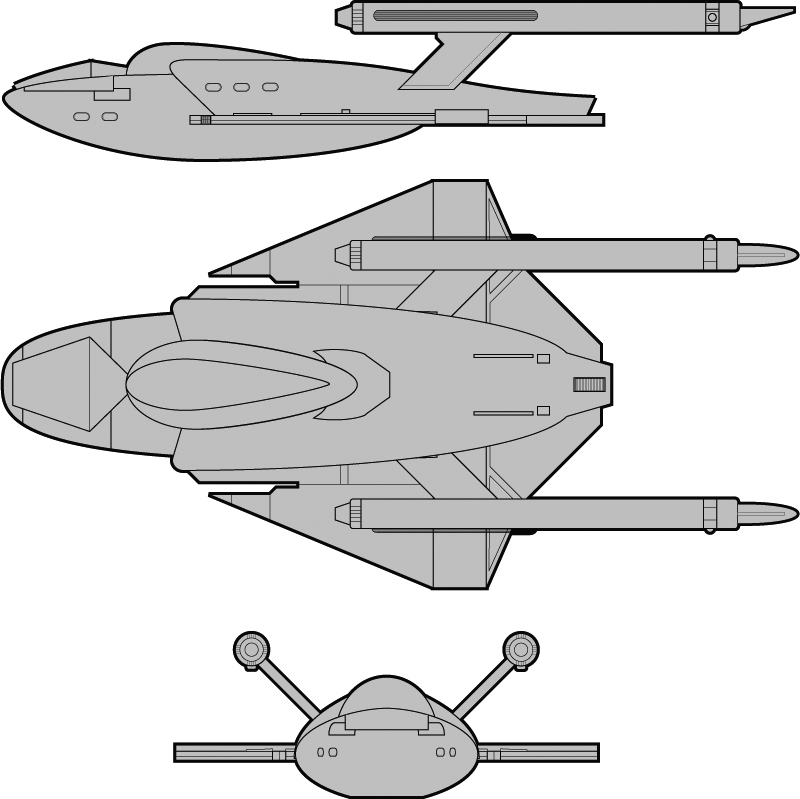 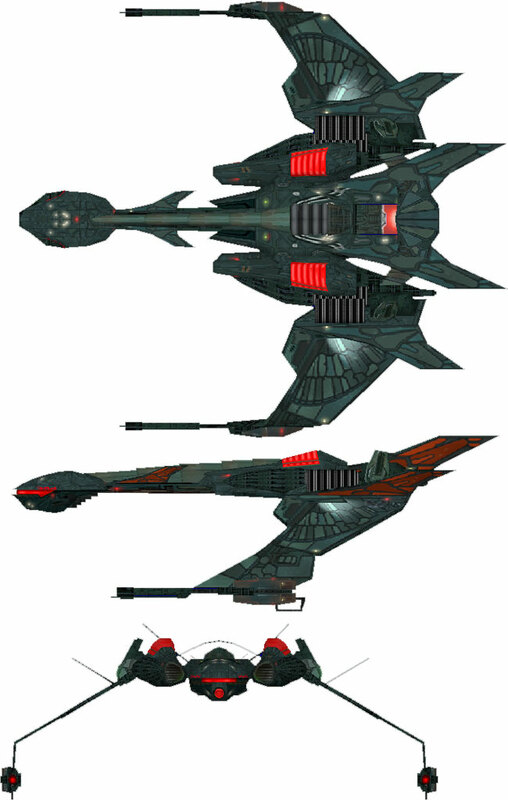 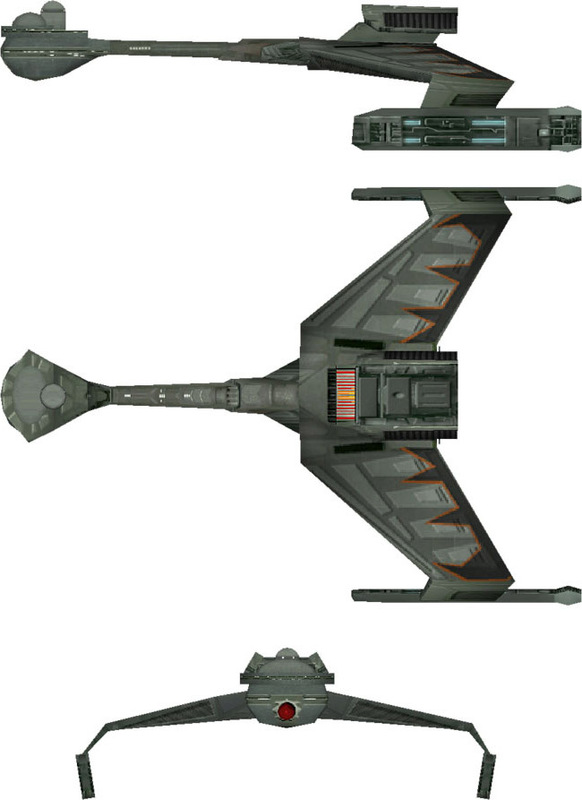 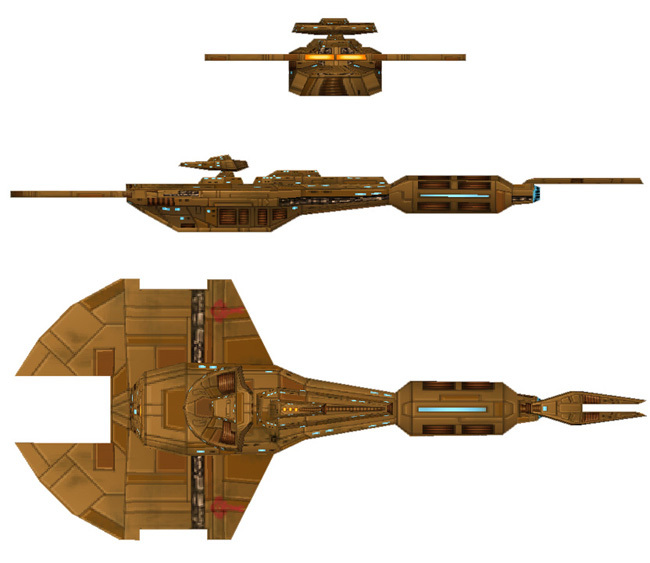 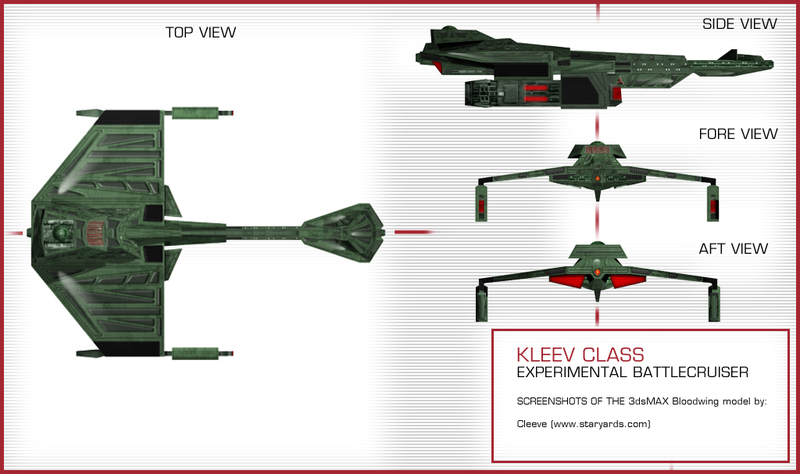 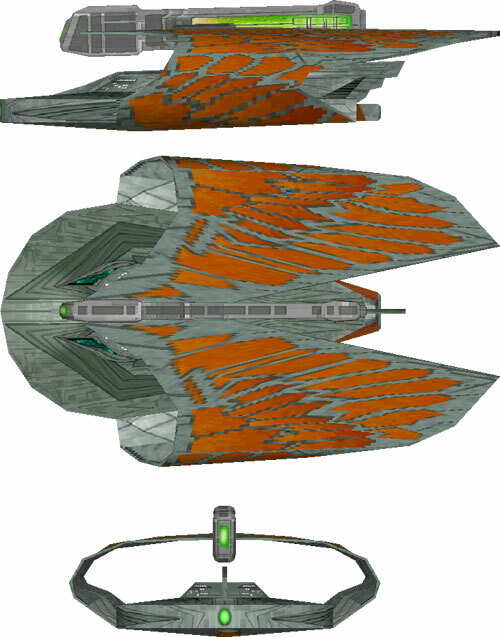 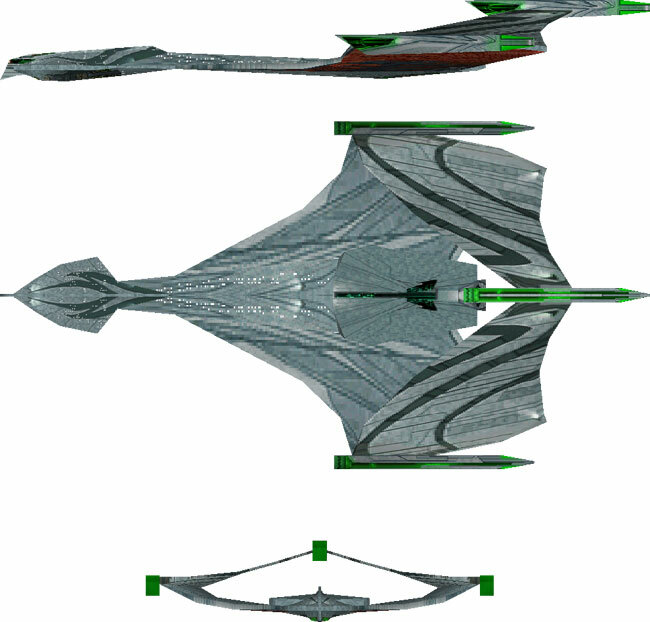 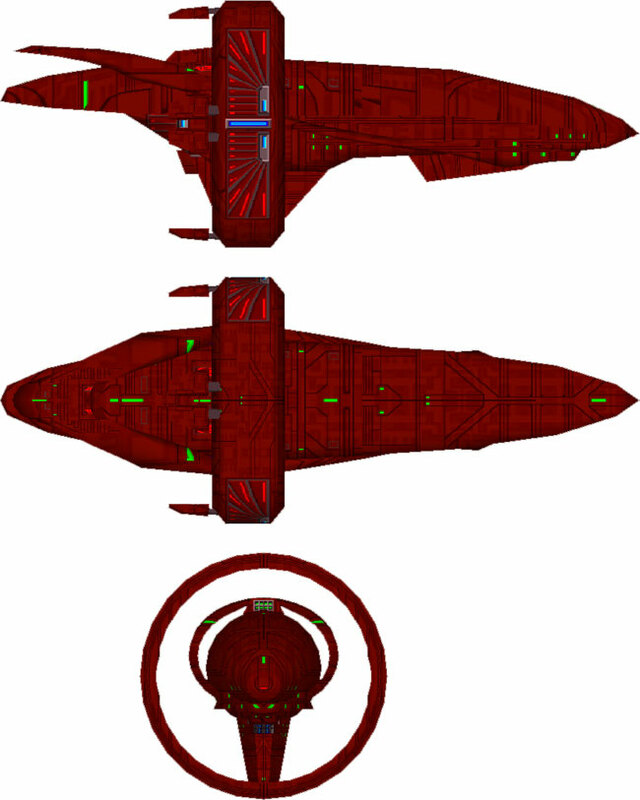 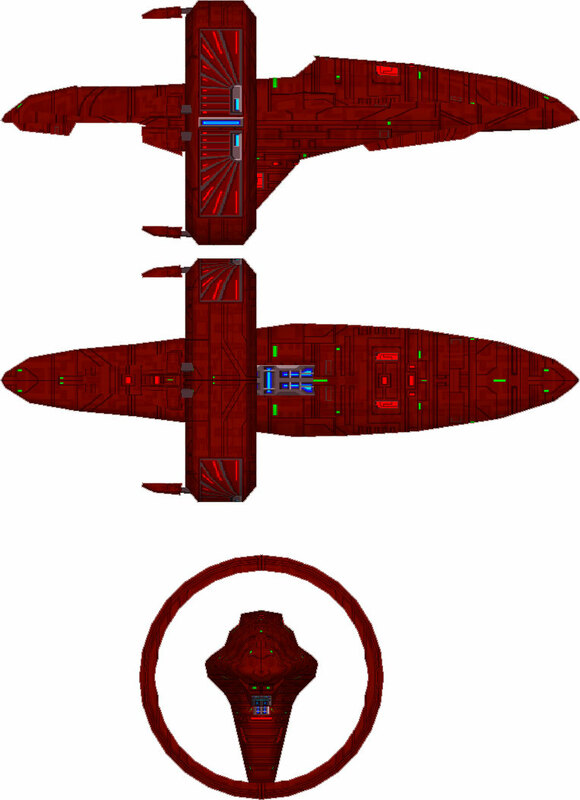 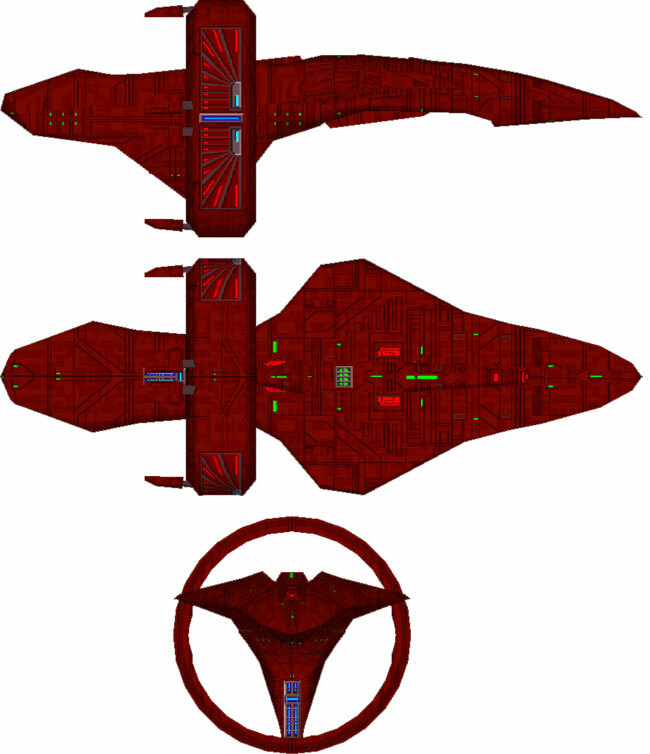 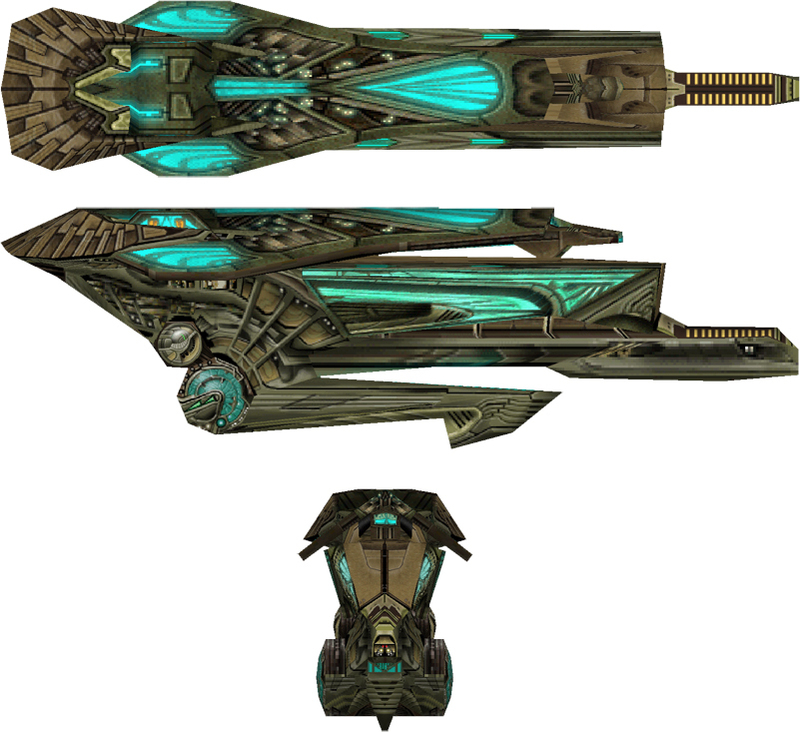 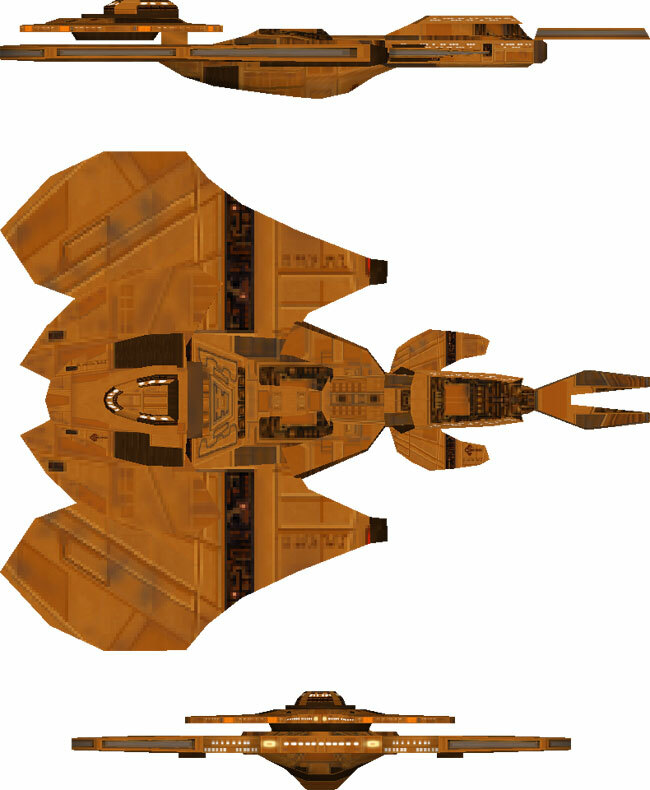 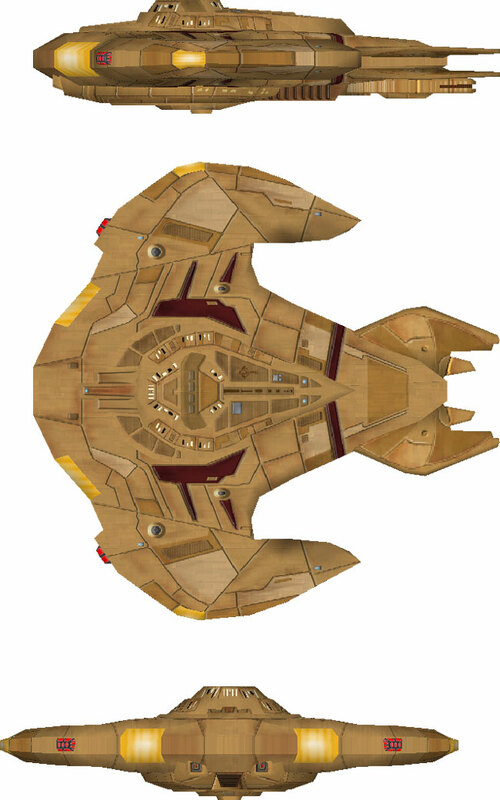 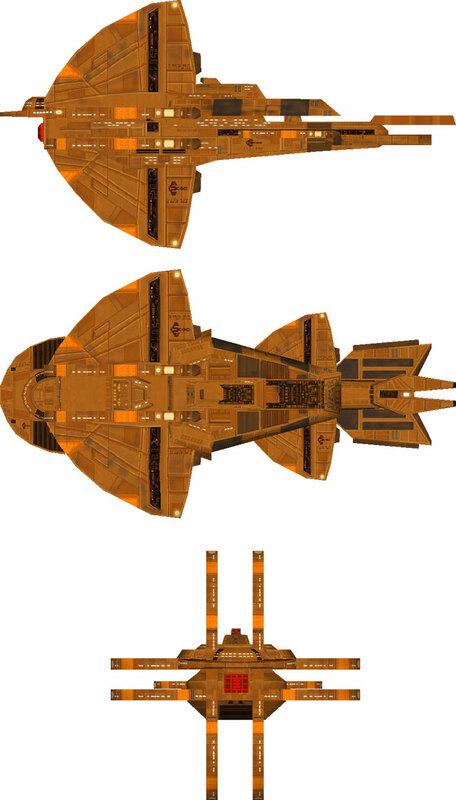 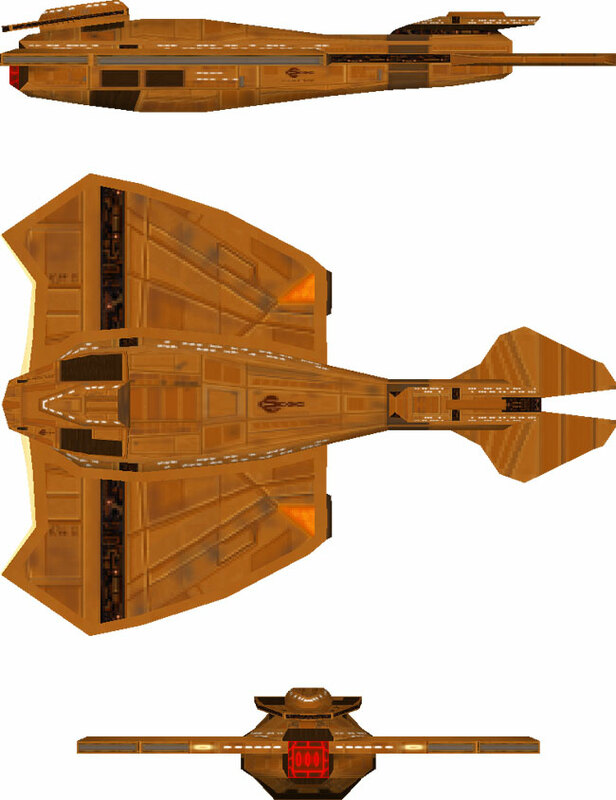 In 2380, the newly aggressive Kinshaya engaged in several acts of piracy in the Klingon Empire's Mempa sector. 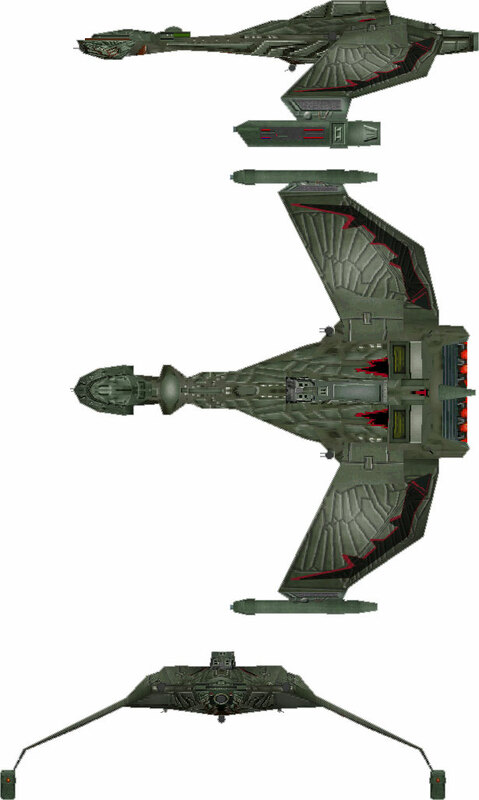 They had also taken to kidnapping Klingon officers and dishonouring them in the eyes of Klingon culture by not allowing them to die. 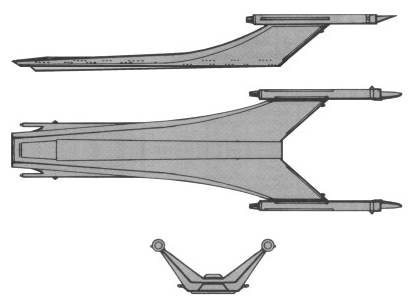 (TNG novel: Q & A). 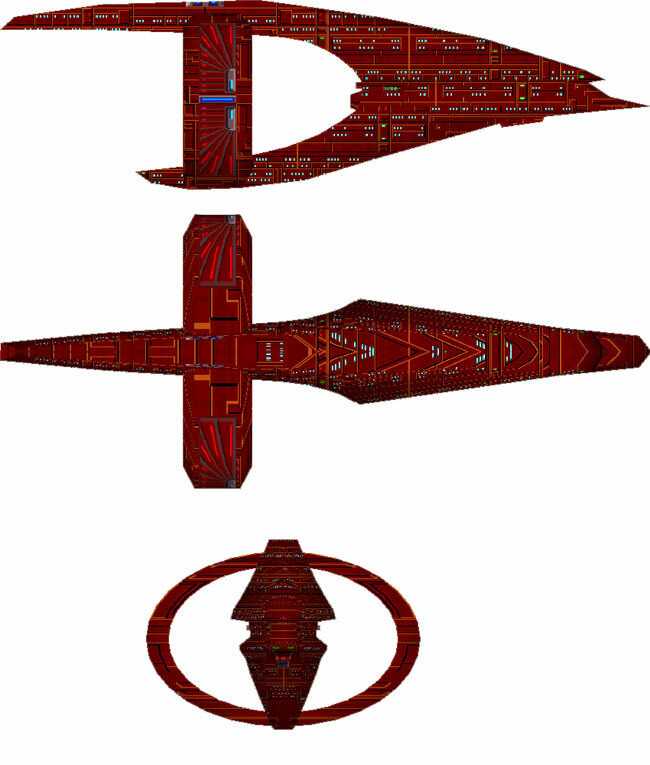 Klingon retaliation cost the Kinshaya their homeworld, but the Holy Order was not seriously damaged by the loss. 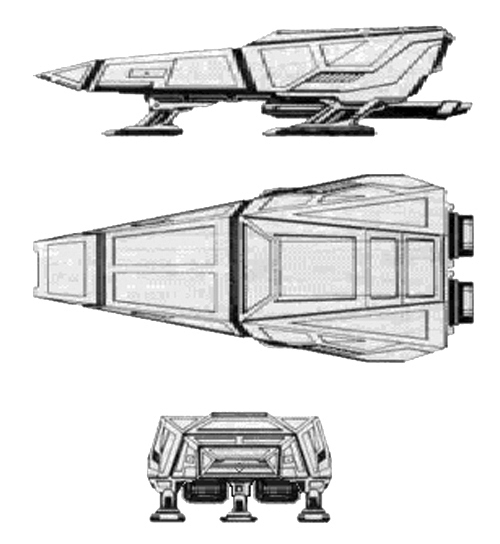 (ST novel: A Singular Destiny). 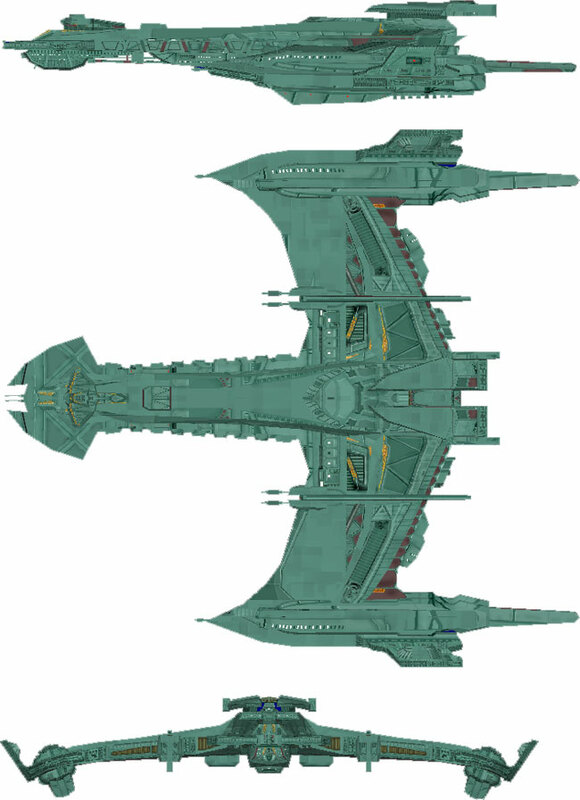 Soon afterwards, with the galaxy rocked by the Borg Invasion of 2381, the Kinshaya took the unprecedented step of reaching out to their neighbours and joining the fledgling Typhon Pact. 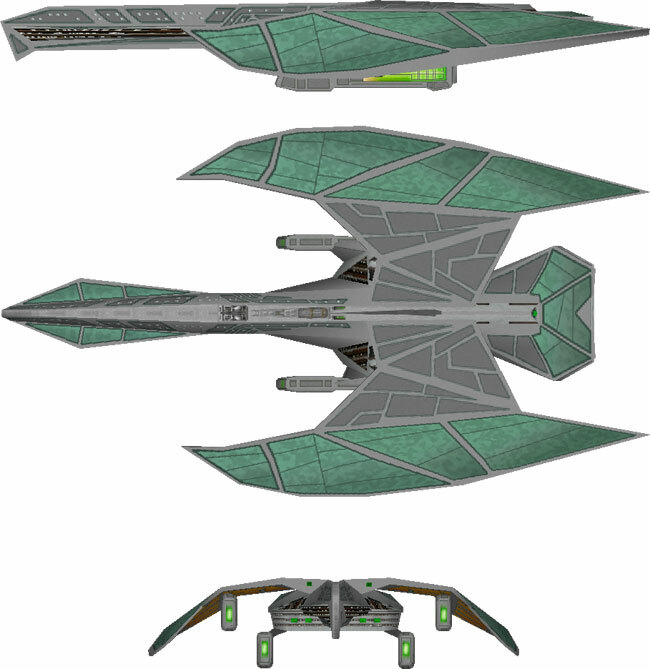 They also took advantage of the Klingons' post-invasion weakness to conquer Krios, then H'atoria. 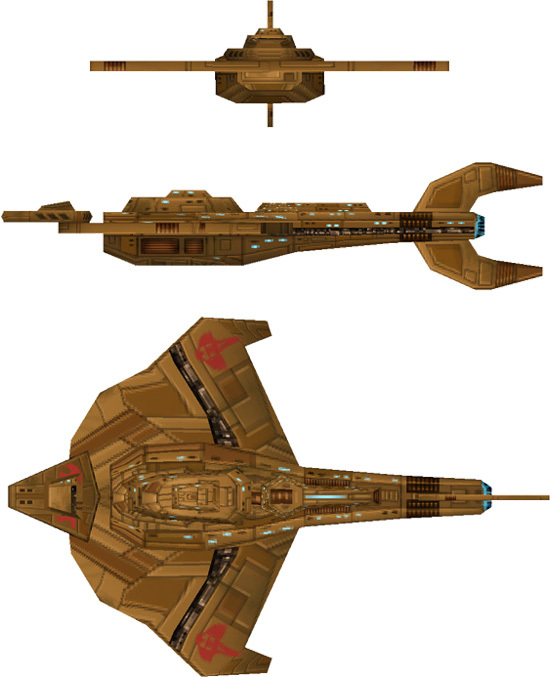 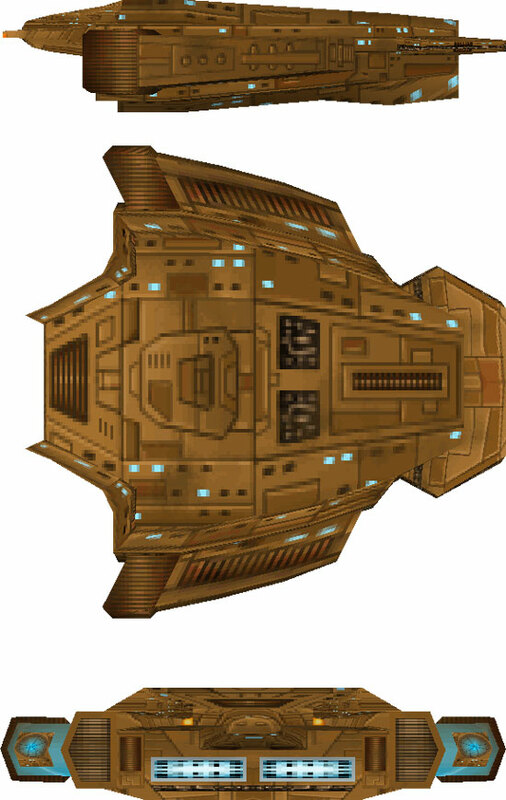 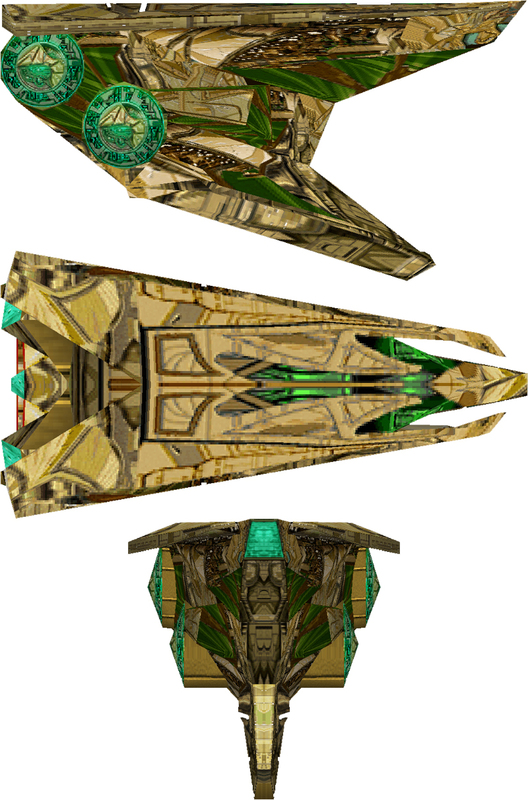 General Klag, son of M'Raq, and the 5th Battle Fleet managed to retake the former, and discovered the Kinshaya's new alliances when the Kinshaya starships revealed Breen Disruptors and Romulan Cloaking Devices, as well as receiving support from Gorn, Breen and Tzenkethi vessels. 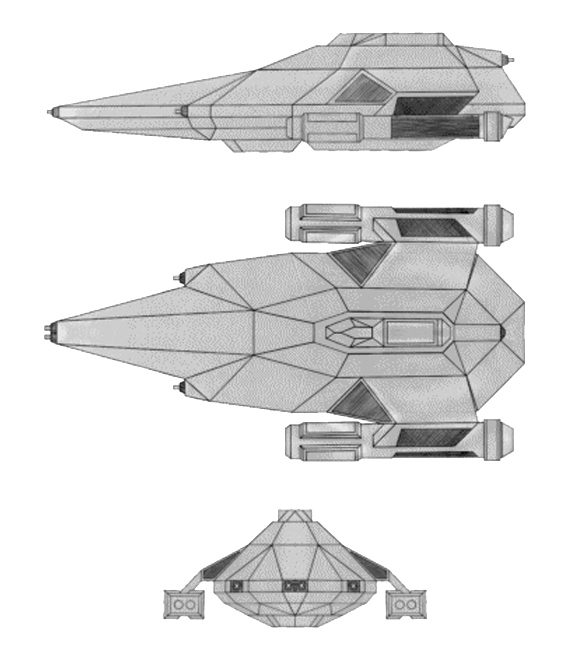 (ST novel: A Singular Destiny). 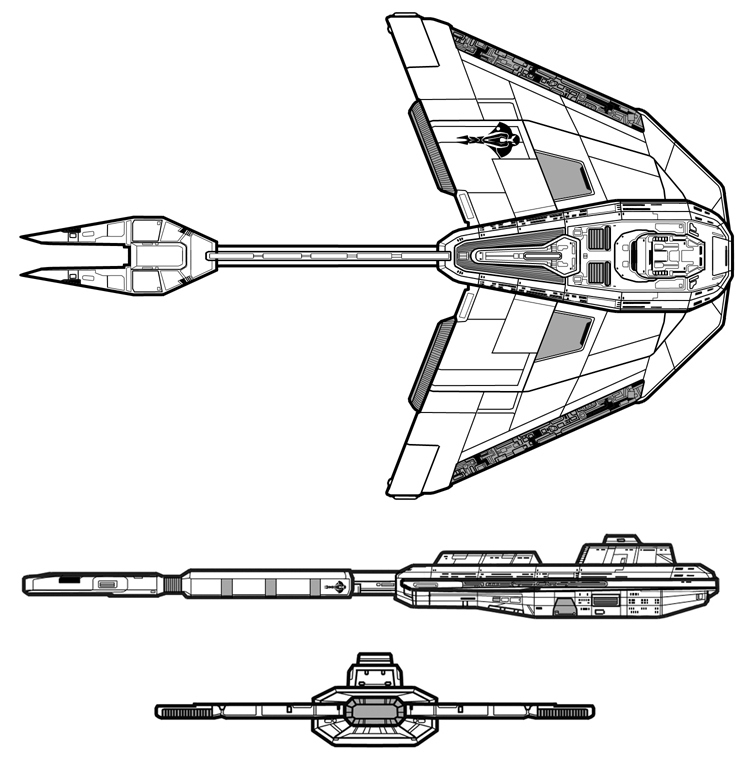 The Typhon Pact later formally apologized for the Kinshaya's actions. 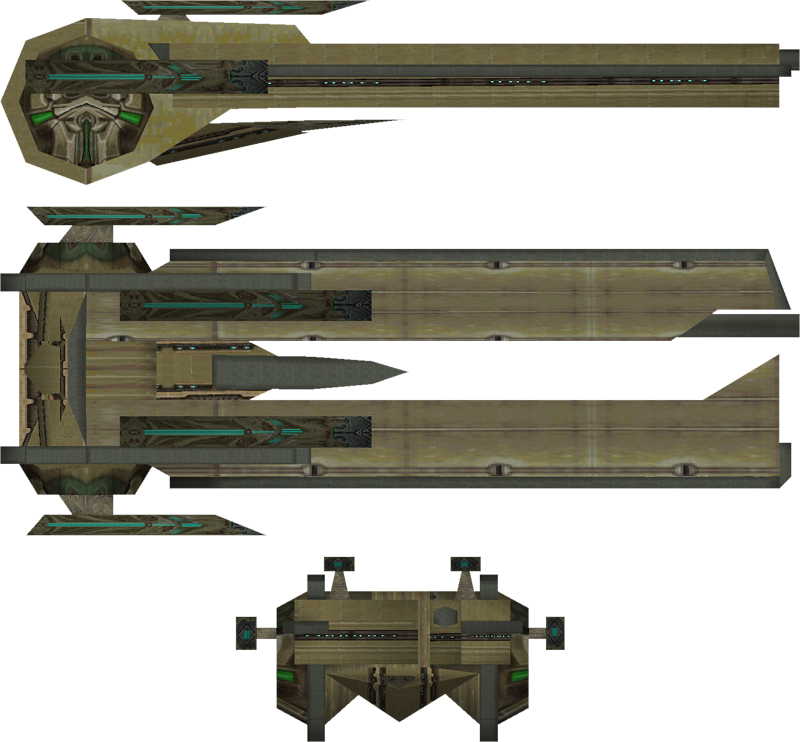 The exact standing the Kinshaya have as part of the new union is unclear.